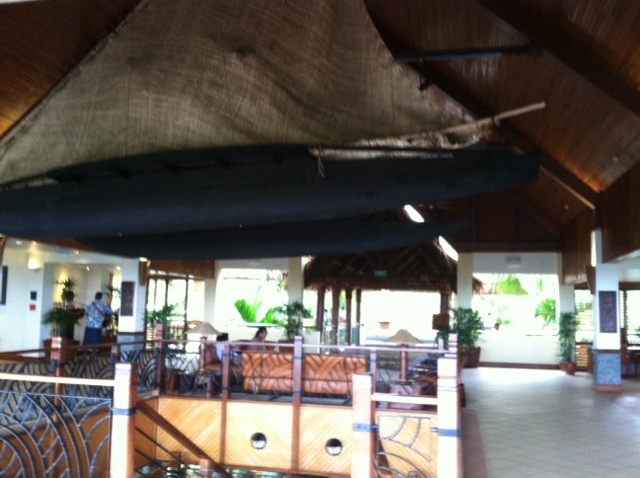 The final place of stay during our media trip was at Outrigger on the Lagoon Fiji in Sigatoka, on the Coral Coast region in Southern Viti Levu. 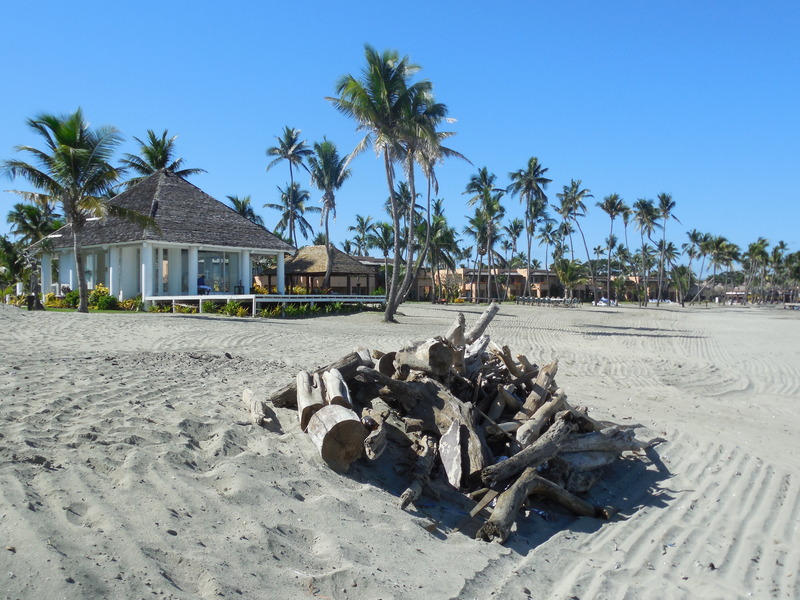 Opened in 2005, the Outrigger is a beachside complex designed to replicate a Fijian village. 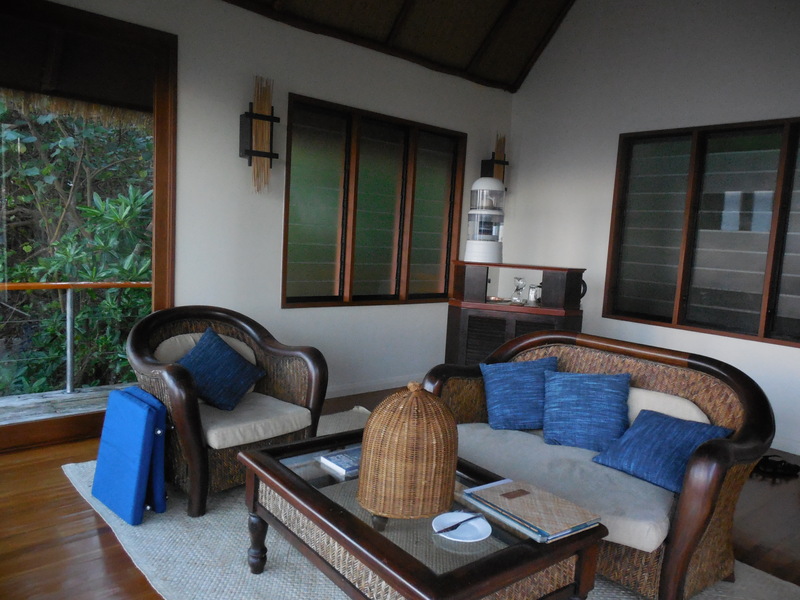 Around the property, accommodations include 254 hotel rooms, suites and differently placed sets of bure bungalows. And just recently, this AAA five-star accredited resort opened an adults-only Vahavu swimming pool, bistro and banquet pavilion. 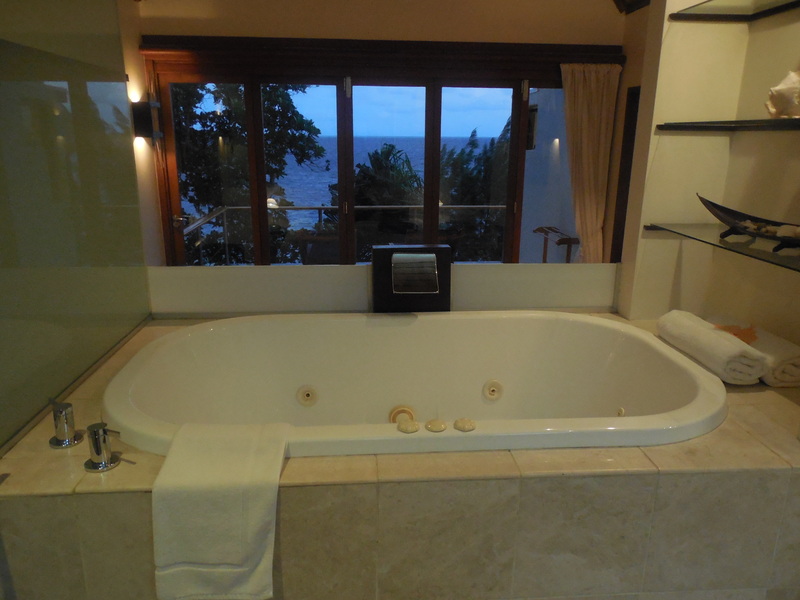 I enjoyed my stay inside my oceanview suite, yet I think one of the resort’s best scenic views, in my opinion, can be found at reception, on the upper level of the property’s main building. This facility also contains shops, conferences and meeting rooms, and a “grab and go” eatery. 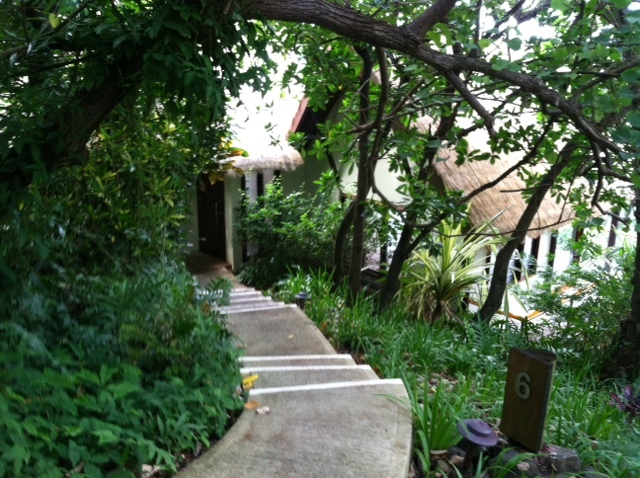 Head to the ground level to exit and follow walkways leading to the resort’s restaurants, cafes and bars and pool area. 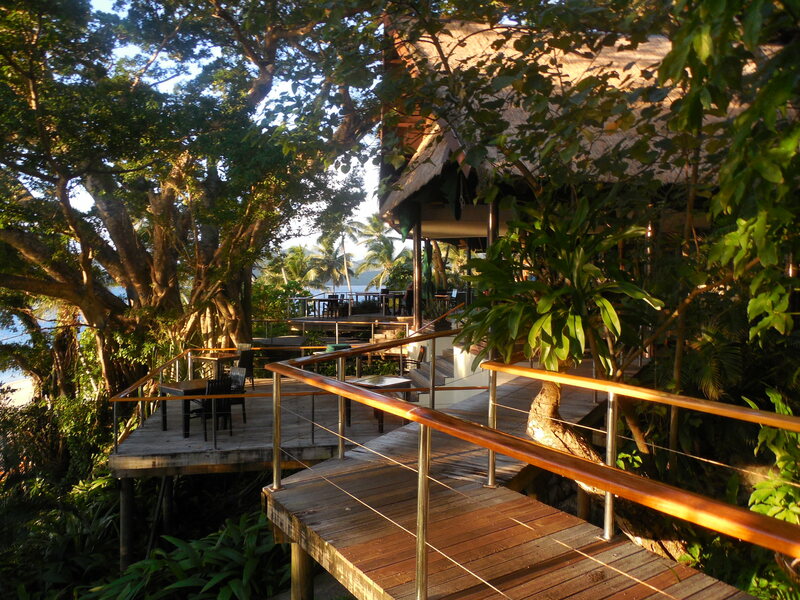 Dining options include Ivi Restaurant for fine dining; Sundowner Bar & Grill, with an extensive steak and seafood menu; Baravi Restaurant and accompanying bar, for eating by the pool lounge or bar side with Asian-inspired cuisine options; and Vale Ni Kana, which serves breakfast, lunch and dinner inside a bure. 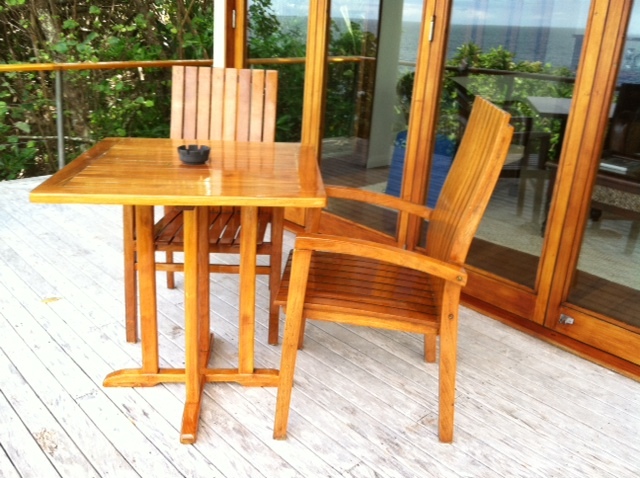 And get before dinner drinks or a nightcap at the Vakavanua Lounge. A tennis court, fitness center and golf driving range (accessible by a underground tunnel) are also offered. Guests receive personalized service called “Talai Touch.” As the Fijian word talai means “to serve,” among the Talai butlers’ deliveries is a nightly offering: a complimentary pairing of canapes and champagne (or other choice of beverage) right to your door. 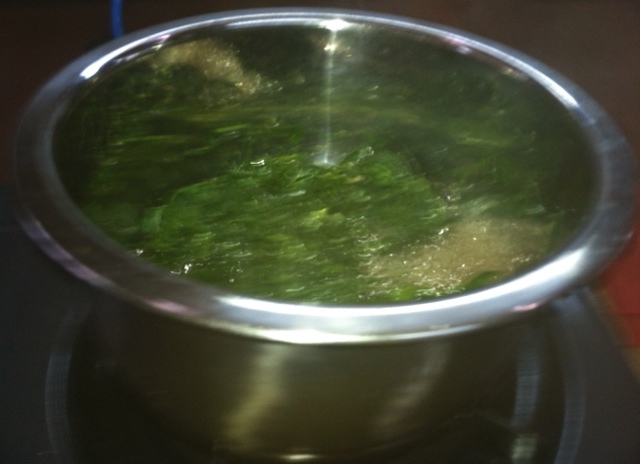 On Sunday afternoon, I went for my spa appointment at Bebe Spa. 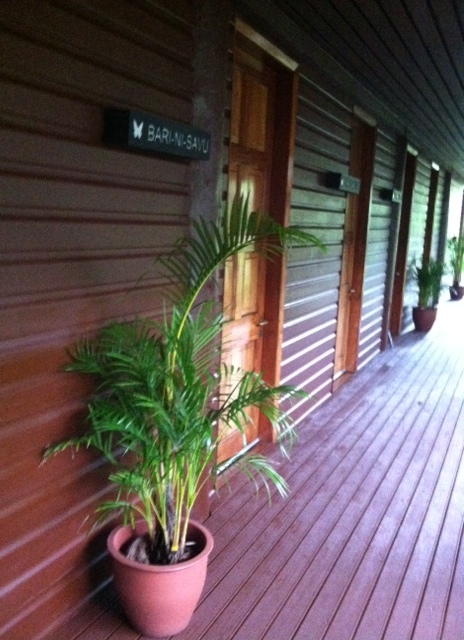 You are escorted to this spa (Bebe is the Fijian word for butterfly) by car, as the sanctuary is based on a mountain ridge above the resort. 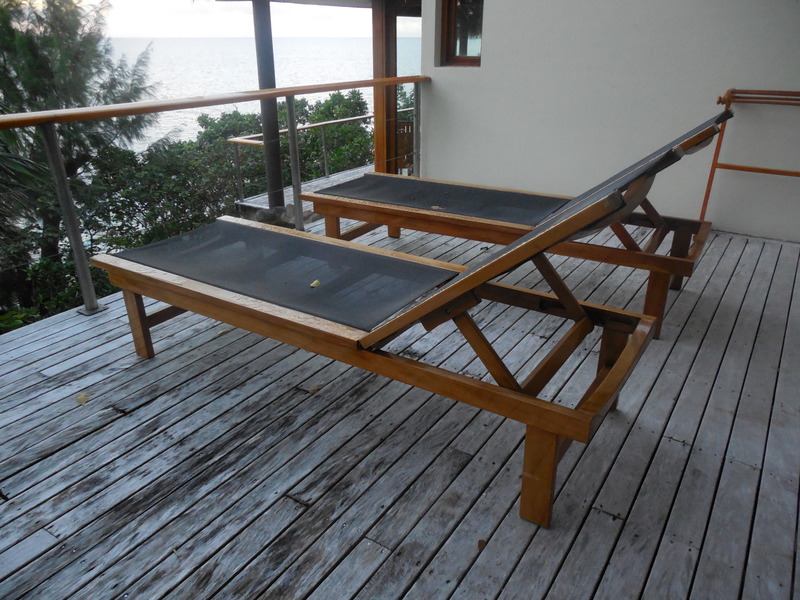 Its high-hill location provides lovely views of the South Pacific’s ocean waters and also ties in with the notion of providing a sense of getting away. 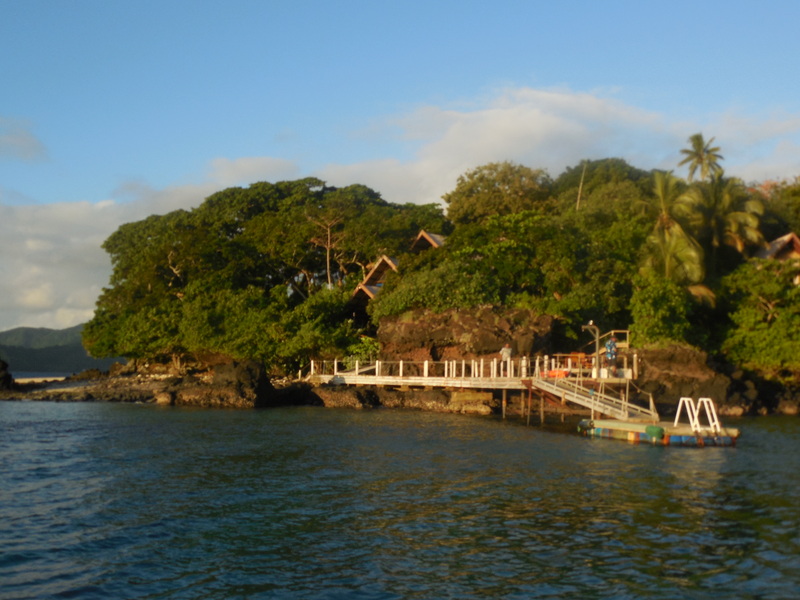 With the picturesque scenery, it’s surprising yet understandable to have a wedding chapel called Bure ni Loloma on the grounds as well as a Kalokalo Bar for perhaps a cocktail after your service is completed. Spa services extend to specialty facials, body wraps, exfoliations and hands and feet treatments. 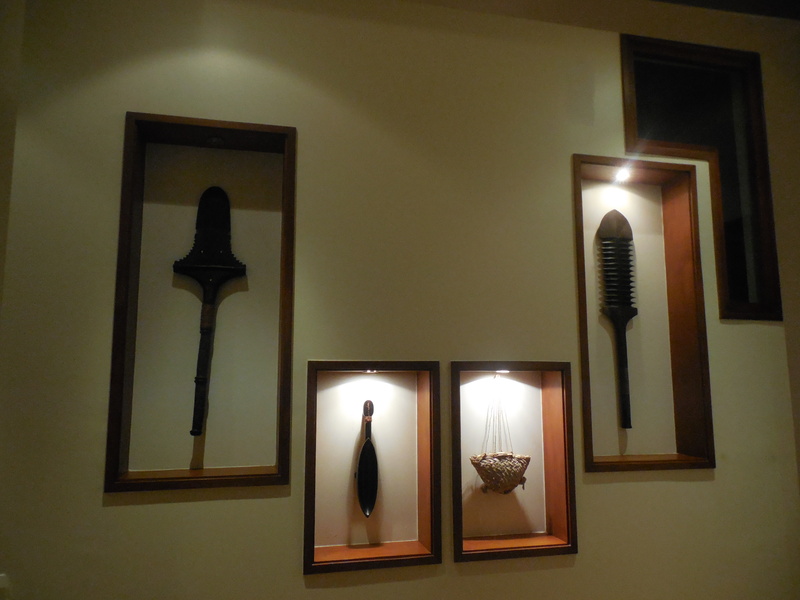 With massages, offerings include ones that incorporate Fijian and other South Pacific techniques such as a Fijian Bobo massage that centers on using fluid strokes from the hands, elbows and forearms. As for me, I opted to get a Dilo and Cucumber Body Wrap, which is tailored to sunburned skin (which, due to being fair skinned, I had gotten a bit of). The wrap contains dilo and coconut oils to restore moisture to the skin and cucumber helps with cooling. 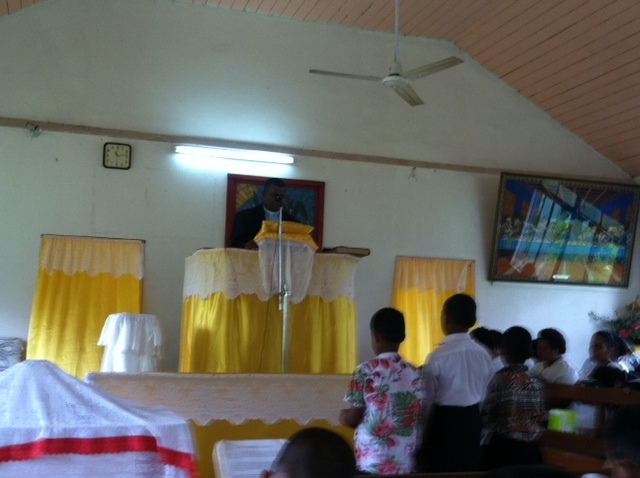 Around 10:30 a.m. on Sunday, our group went to a village called Korotogo — a short drive from Outrigger — to attend a morning church service. Arriving early, we were able to take a quick walk and met and talked to older and younger residents who also were on their way to church. Dressed in their Sunday best, a group of small children walked back with us and sat near us for the roughly two-hour service. 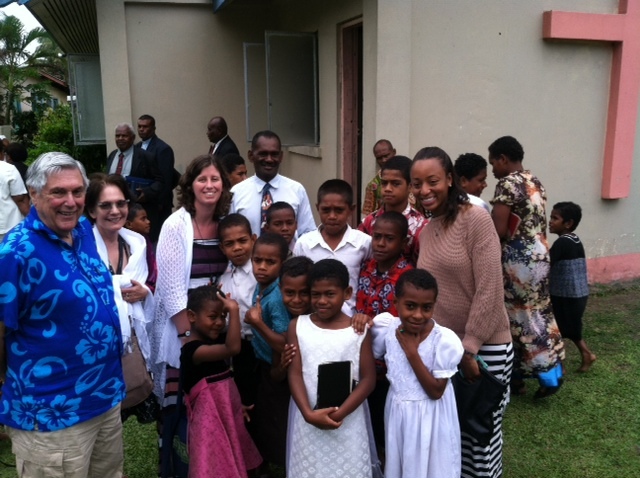 When the service ended, we got to enjoy a photo op with the children, who were very good in church! 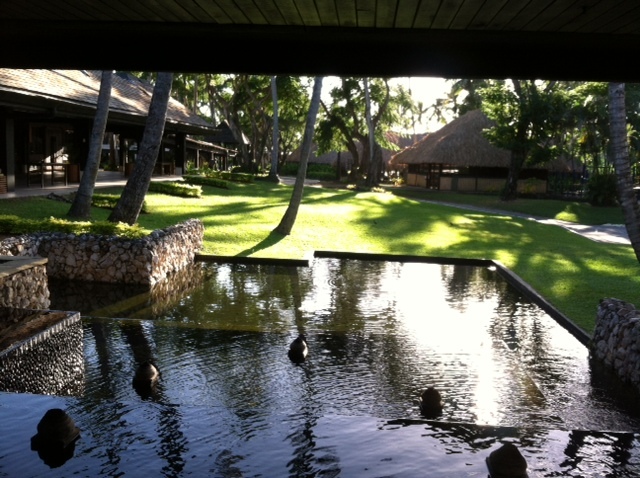 In the early evening, we packed up again and returned to Nadi for our Fiji Airways flight back to Los Angeles. 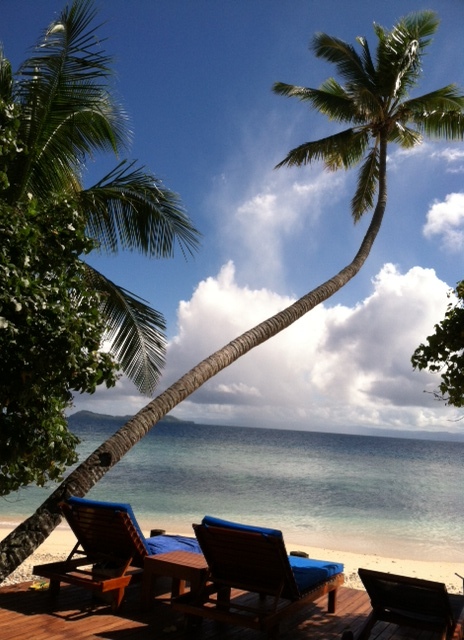 Moce (goodbye) and Vinaka (thank you), Fiji! 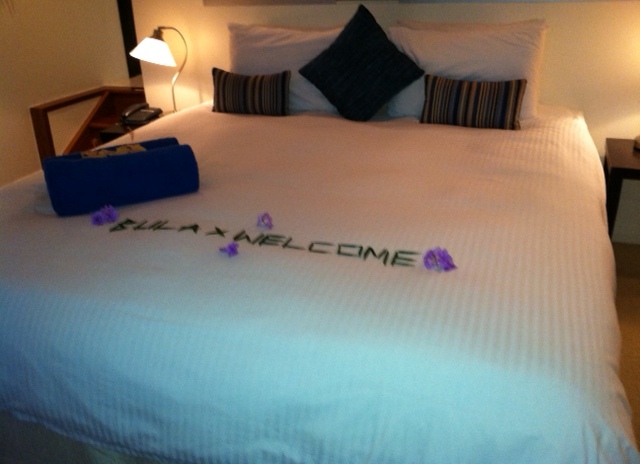 This entry was posted in Culture, Fiji, Outrigger on the Lagoon Fiji, Resorts, South Pacific and tagged Bebe Spa, Coral Coast Fiji, Korotogo village, Outrigger Fiji, Outrigger on the Lagoon Fiji, resorts on Fiji's coral coast on July 18, 2013 by She Is Going Places. Fiji’s capital city of Suva, on the Island of Viti Levu, has a number of retail shops, government buildings, shopping malls, a movie theater multiplex, and eateries. It’s also where heads of state and diplomats reside. 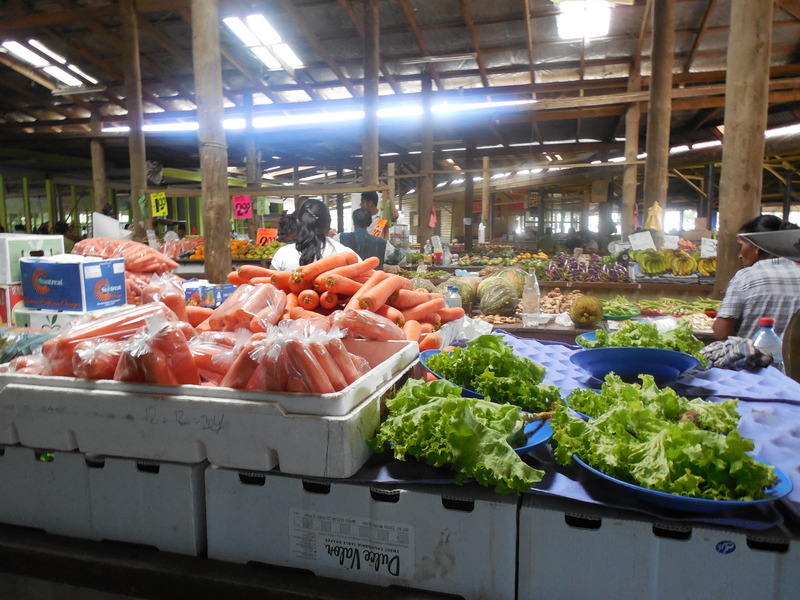 Plus, it’s home to Suva Municipal Market, an open-air food market; seminaries and colleges like the University of the South Pacific; a Municipal Handicraft Centre; and the factory for Pure Fiji, a popular line of skincare and haircare products. While in Suva, we drove by and stopped at many important places. The Presidential Palace is once where Fiji’s British governors resided during colonization. It also has a changing of the guard ceremony on the last day of each month. Next on to Albert Park, where aviator Charles Kingsford Smith landed his plane, a trimotor Fokker VII-3M, in early June 1928. Last Saturday, we saw rugby matches going on there. 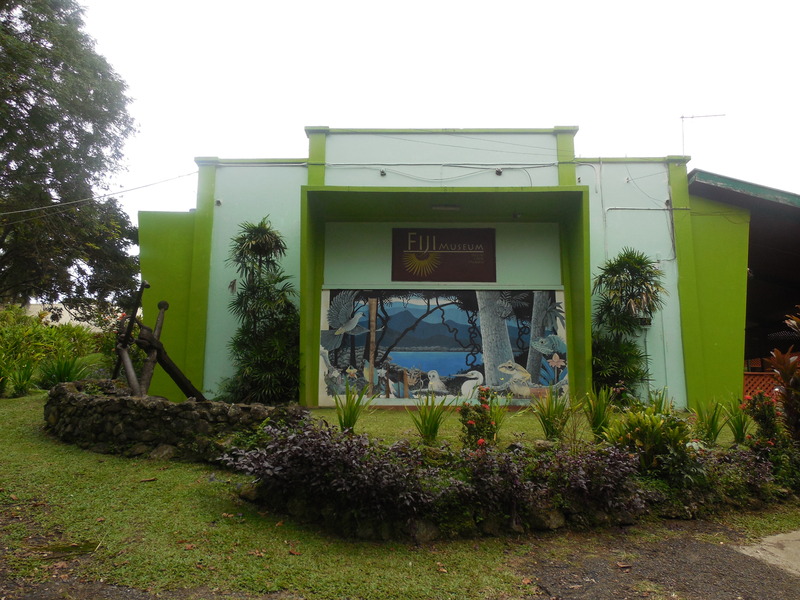 Across from Albert Park, the Thurston Gardens is also the location for The Fiji Museum, which has two halls of impressive archeological findings and exhibits on Fiji’s various residents, indigenous and settlers that came to the islands over the past century. 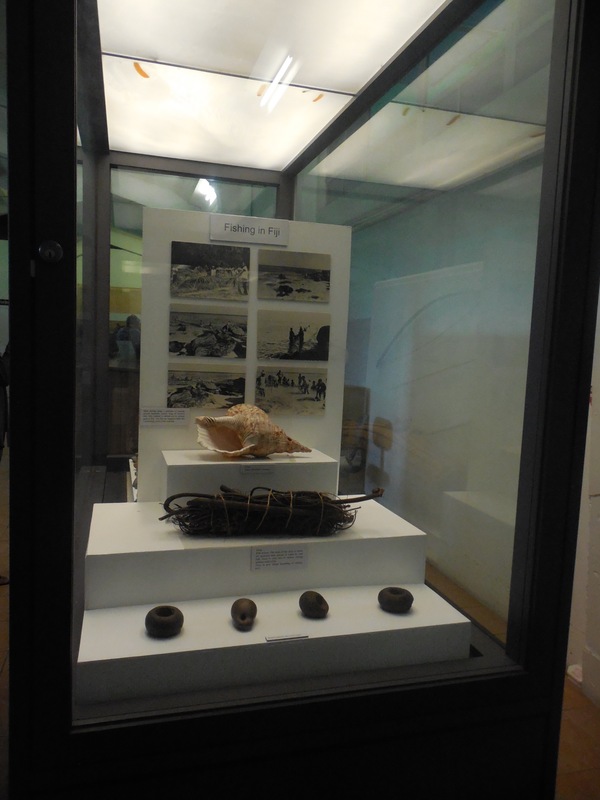 The museum has quite a collection, which dates back 3,700 years! 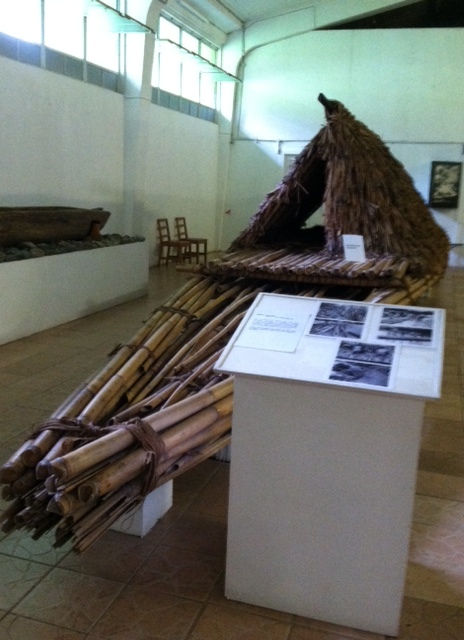 Having a good regular admission price, the Fiji Museum’s lower level contains exhibits relating to fishing and sailing. 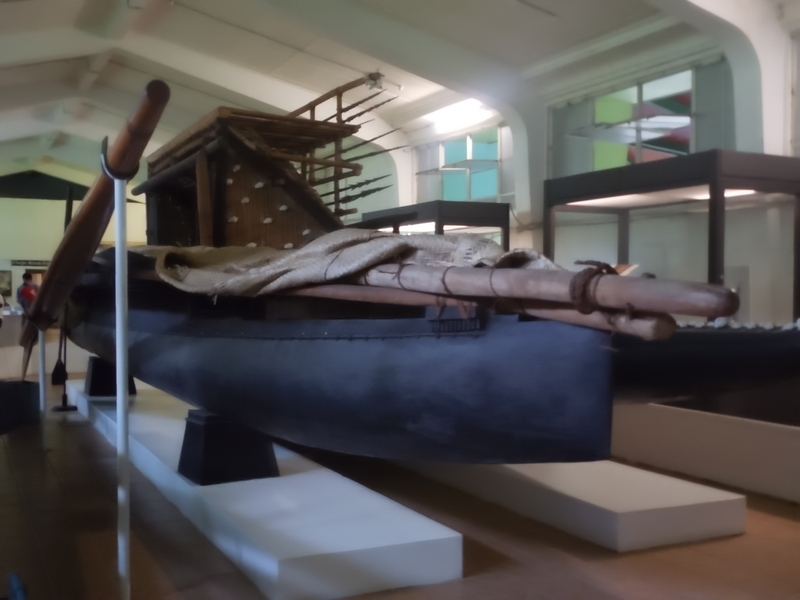 One eye-catching display is a double-hulled canoe with five steering oars that require a few hands to lift, as well as a house raft made out of bamboo. Pottery is also on view at the museum, particularly with the Lepati, a group of people who created a type of pottery known as Lepita pottery. 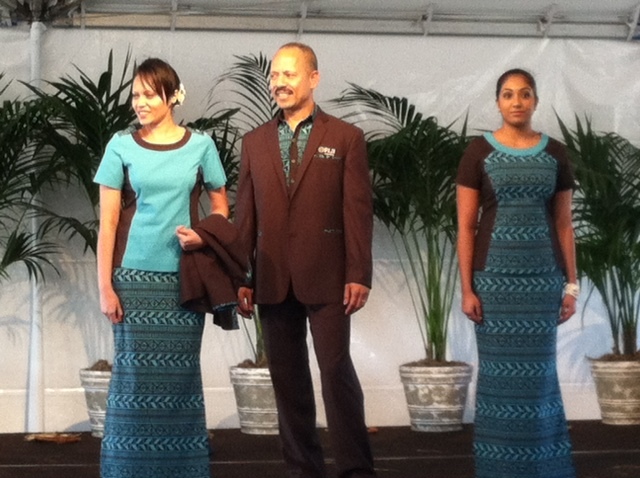 Visitors can also learn more about Masi, which mixes intricate patterns and warm colors for detailed clothing designs. 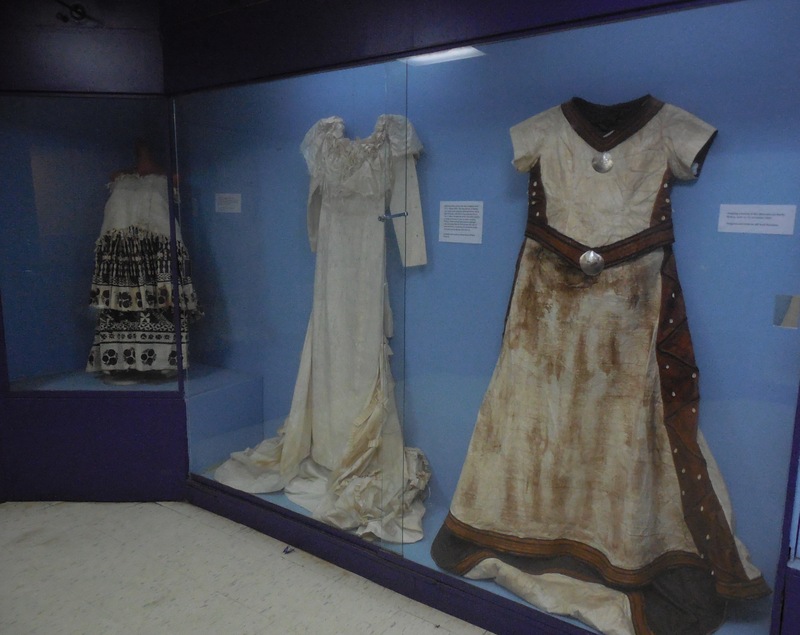 There are also exhibits showing historical periods such as the arrival of religious missionaries to Fiji and other nationalities such as Indian peoples who came to Fiji during its time as a British colony as indentured labor. 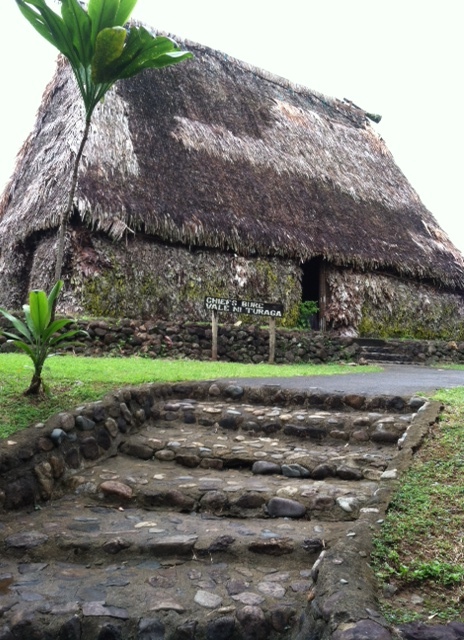 Heading toward Pacific Harbour, we visited the Arts Village, a cultural center that holds demonstrations on Fijian traditions through reenactments. Locals perform various roles found in a village. 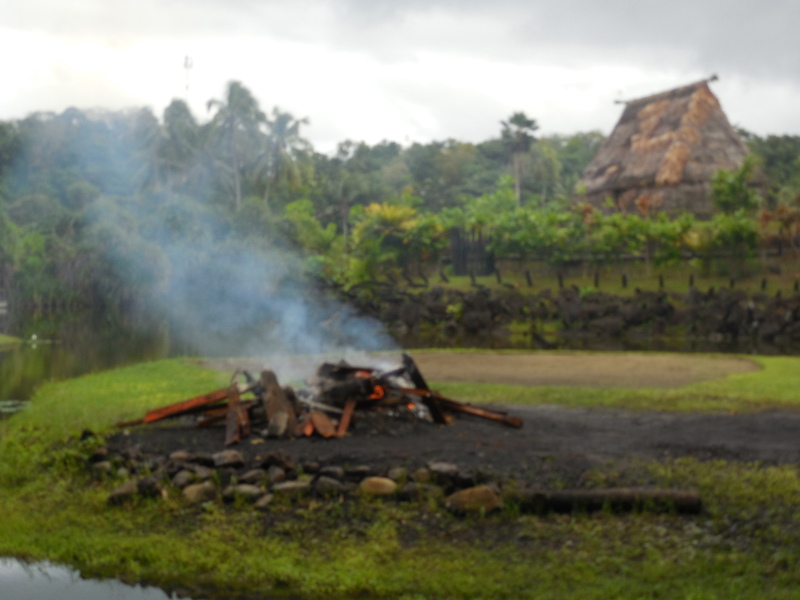 On the property, a guide takes visitors to a tribal chief’s bure to meet him and observe interactions between him and his tribe’s various members in his home. 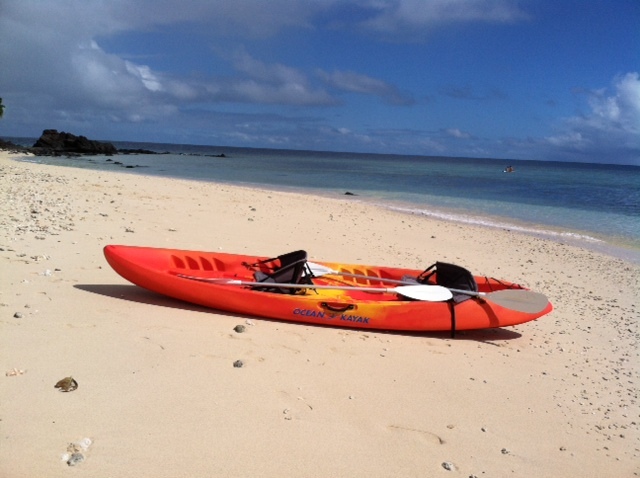 First, a “visitor” would give a Tama, which is a call to asking permission to enter the bure. A yes or no answer from the chef would be delivered. Removing our shoes upon entering the bure, we learned that the chief has a spokesperson that interacts in him giving order or responding to delivered messages. Inside his home, the chief has one wife, other “wives” serve as concubines, and servants. Each person in a tribe has a specific role such as a messenger or a spokesperson. 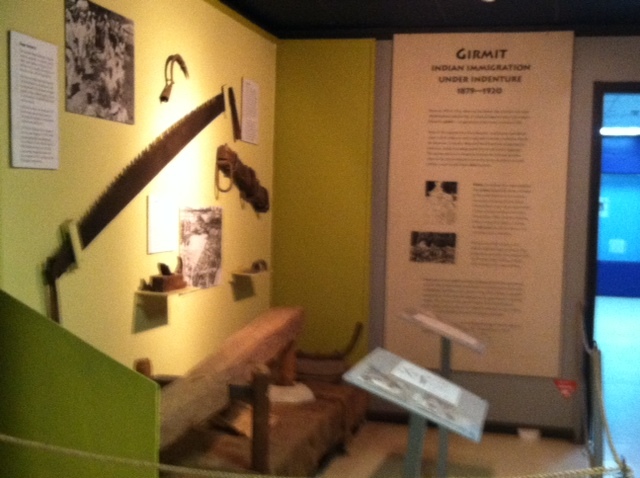 Actors demonstrated how the chief would react to certain news, as well as showing his interactions with his tribesmen. 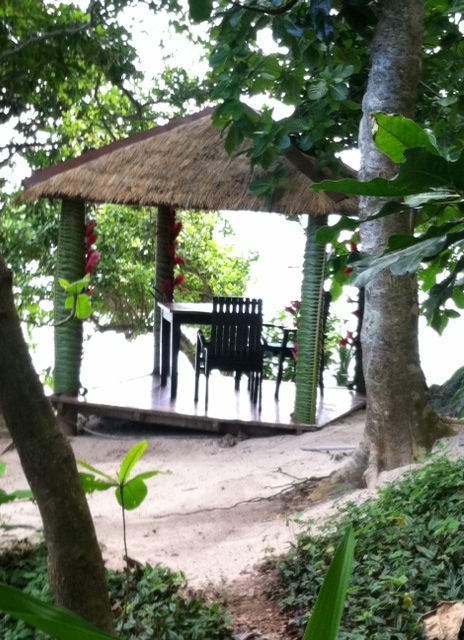 Also, while inside the bure, we also participated in a kava drinking ceremony. Among the shows performed at the Arts Center are a fire walking demonstration. 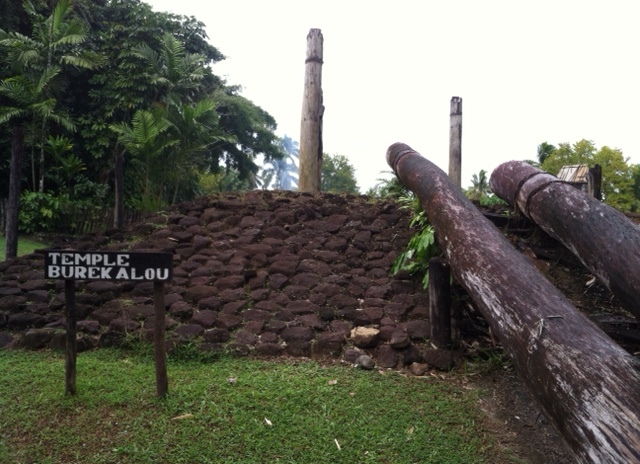 One island where fire walking is credited to being from is Beqa. Only males are permitted to participate in fire walking, where they move across heated stones, and they have to refrain from certain activities like having coconuts in order to do so. 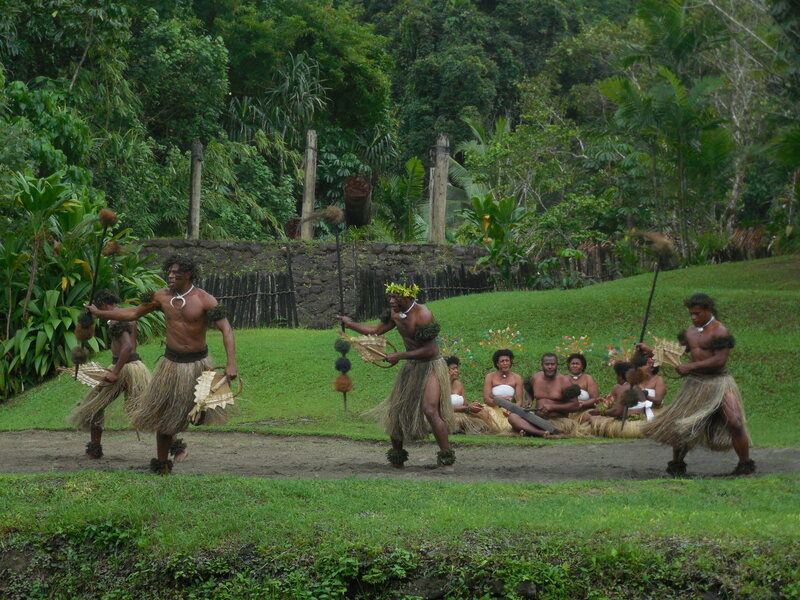 Meke, form of traditional communal Fijian dances, were also performed. The Arts Village also has a number of restaurants and shops, with the option of having a lovo lunch. This type of meal is cooked in an earthen fire pit. 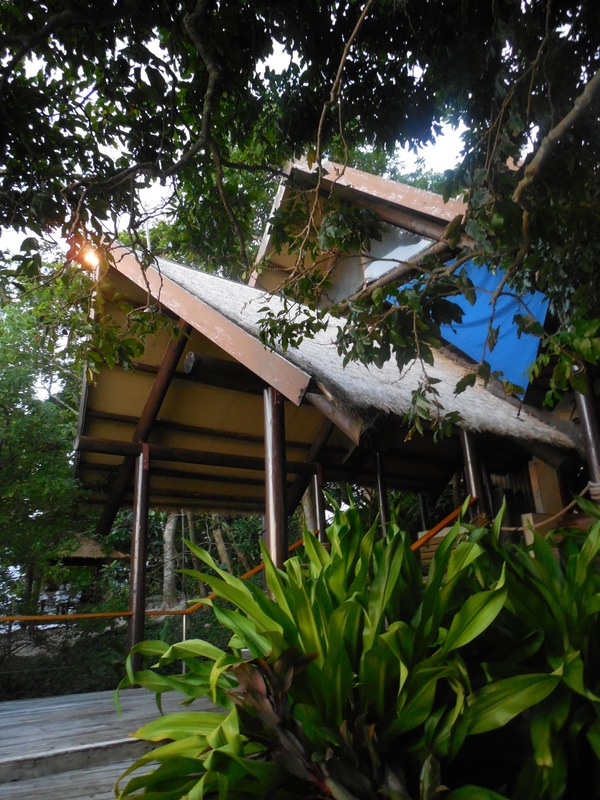 Guests too can choose to stay at the site in dormitory accommodations inside its Tsulu Beach Bunkhouse. 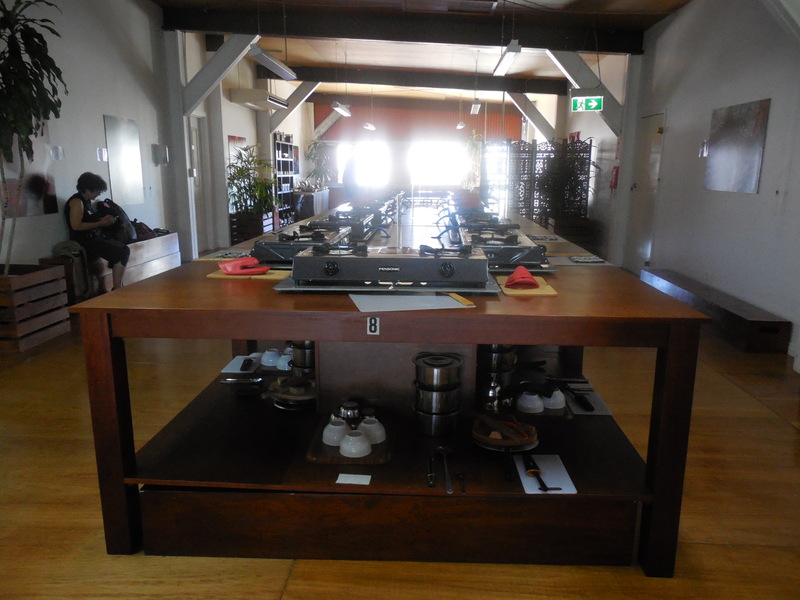 These cultural offerings make The Arts Village at Pacific Harbour worth a visit! This entry was posted in Attractions, Fiji, Museums, South Pacific and tagged Arts Center at Pacific Harbour, Culture in Fiji, Pacific Harbour in Fiji, The Fiji Museum, Viti Levu on July 17, 2013 by She Is Going Places. 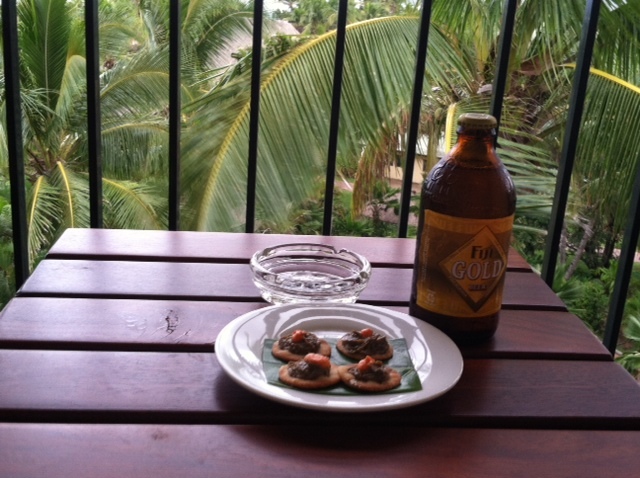 To get a “taste” of Fijian culture, hopefully you would like to try local dishes. 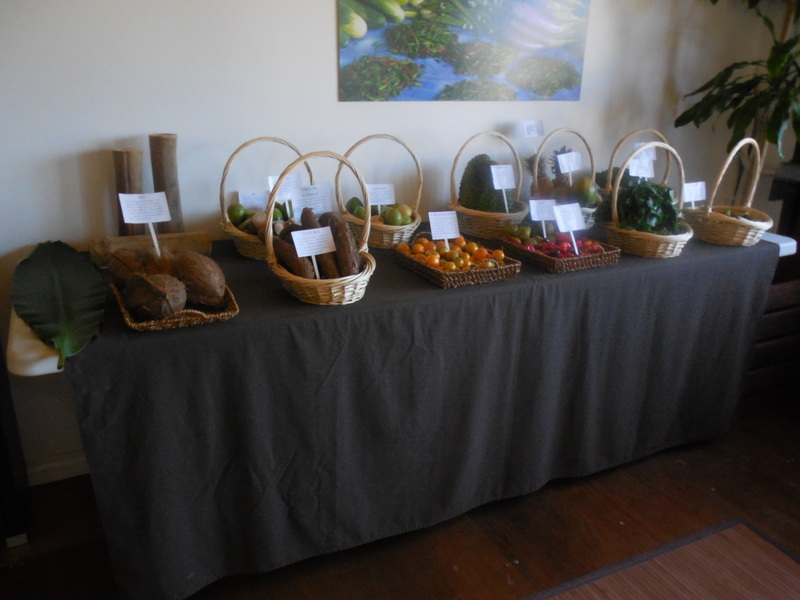 On Fiji’s Denarau Island, the Flavours of Fiji Cooking School takes your culinary interest a bit further by having you get “hands-on” in learning more about traditional cuisine. And, of course, you get to eat what you make. 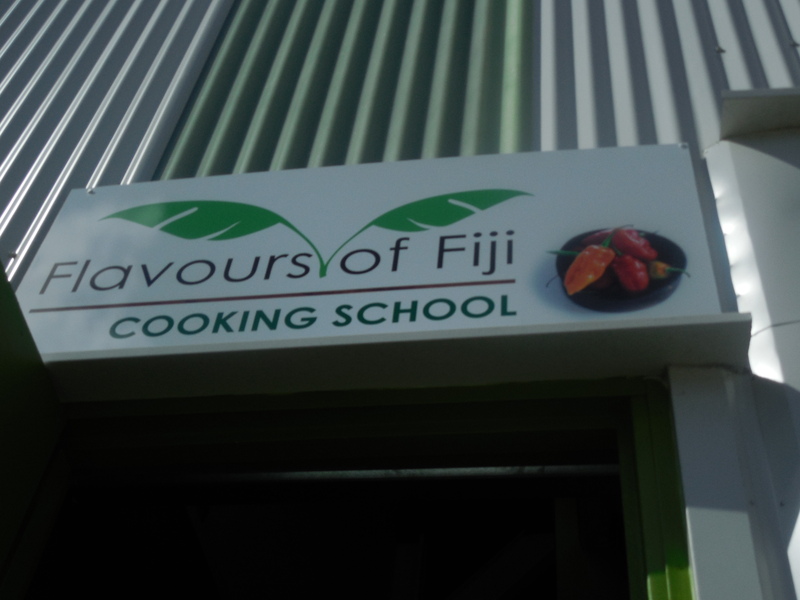 Opened this past May, Flavours of Fiji Cooking School’s focus is on teaching tourists and visitors how to cook what is called the “Fijian way.” Instructors who are also home cooks share time-honored cooking methods and stories about Fijian living inside this modern-purpose cooking facility. 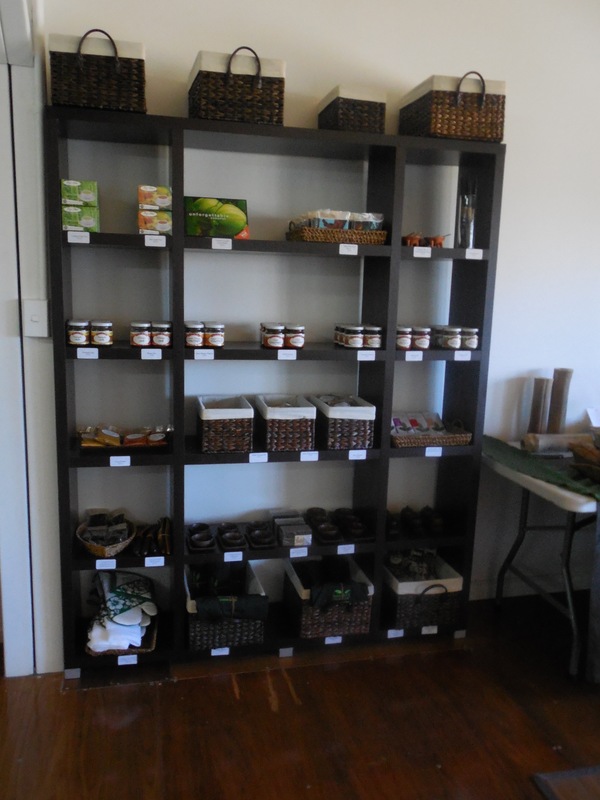 The school also has a gift section selling local products such as teas and spices and cookware and tableware. When our group arrived at the school, we were greeted with a refreshing drink: a delicious Chilled Bu (coconut) juice. And the “glasses” were coconut shells. 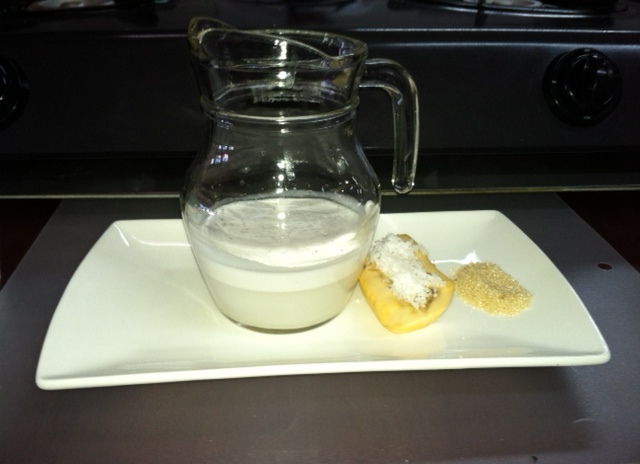 After settling in, we were given a brief lecture about the various ingredients we would be using. Food can also be significant in other ways. For example, villagers have used bamboo shoots as cookware for roasting root vegetables by placing them inside a shoot and then placed the shoot into a fire. 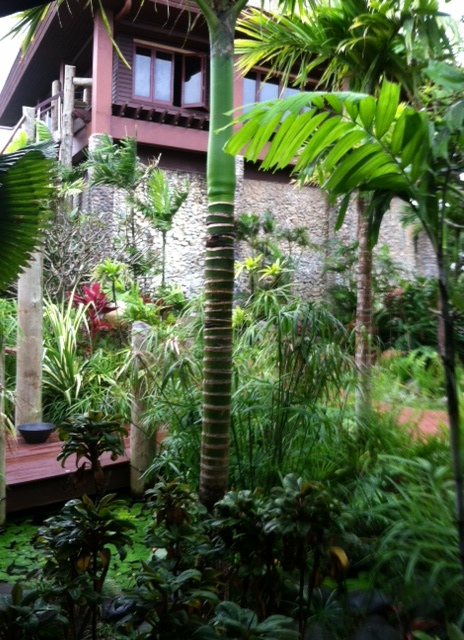 Banana leaves also double for wrapping meat, chicken or fish for grilling and even can serve as placemats. 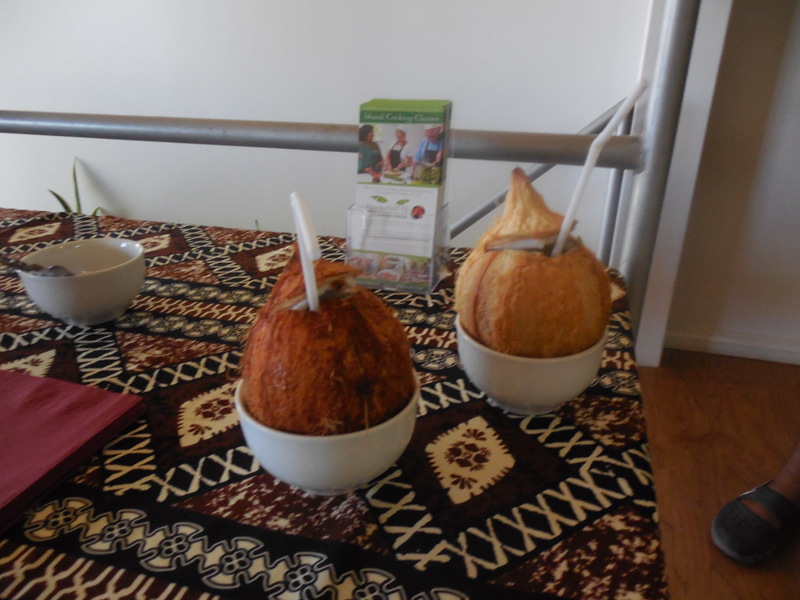 Coconut, which is Nui in Fijian, is an essential ingredient in Fijian cuisine. Our teachers described the coconut tree as “the tree of life” in that this fruit has multiples uses, from cooking its meat for food to making coconut oil for beauty needs. We got to see how its flesh and water are extracted. First step: look for the “three lines” on a coconut that will be hit with the back of a knife to crack it in two. Then, once it’s split, each half of the coconut is scraped against a sharp edge on a tool made from the wood of a guava tree. Standing near the school’s coconut scrapping stations, we watched as one of the instructors demonstrated a method for scrapping off the meat known as a “1, 2, 3 rhythm.” You curve your hands around each side of the coconut shell, and then you move the coconut’s interior up and down again the sharp metal portion of the stick to scrap the meat off. 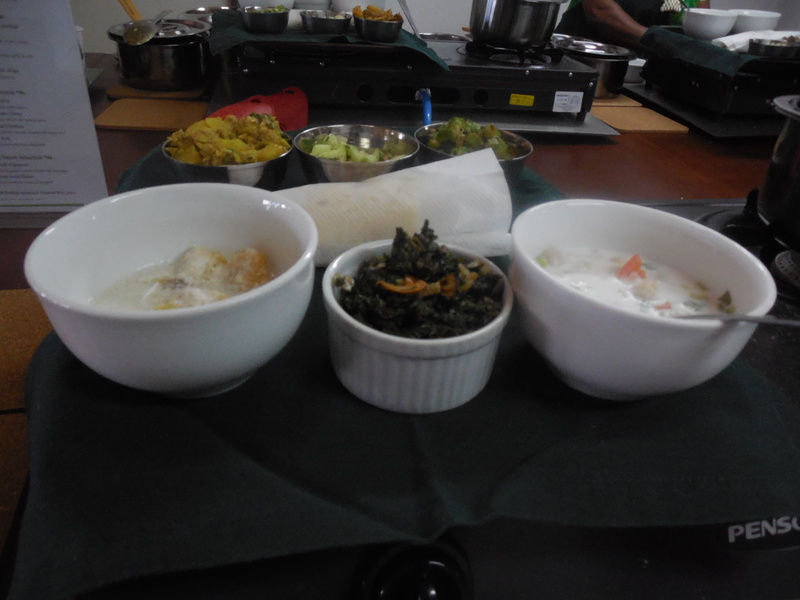 Our three and a half-hour cooking class centered on preparing six dishes, three Fijian and the other three, Indian. Our teachers prepped all of our ingredients beforehand, organizing and filling bowls, cups and side plates, with necessities with oil, water, and spices. We started off with the Fijian recipes, and first sautéed rourou with onion, tomato, and garlic to create a spinach side dish. 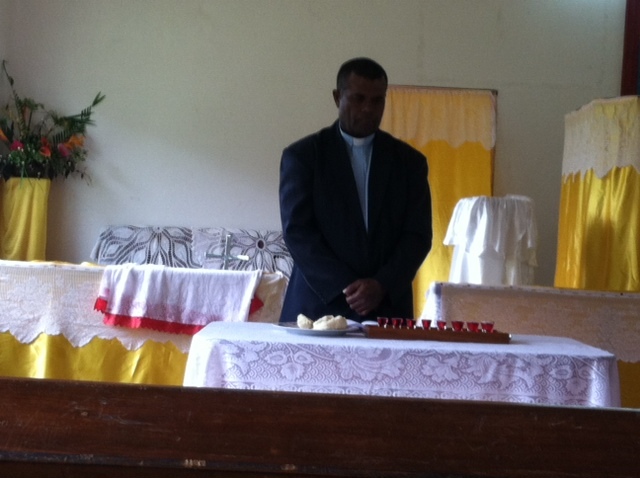 While it cooked, our teachers told us about how rourou is a food fixture in Fijian households, and for good reason. 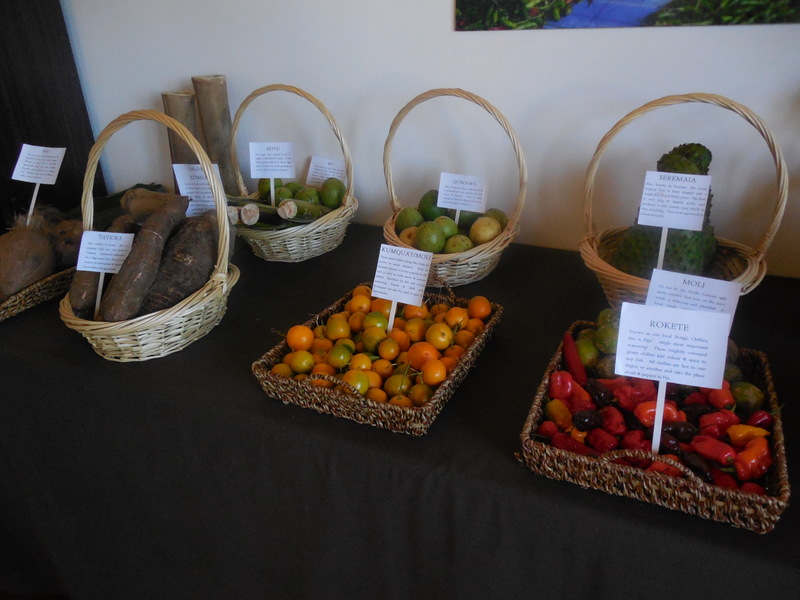 In emphasizing the importance of fruits and vegetables in the Fijian diet, they explained that elders regularly eat rourou (with the younger generation, it can be iffy) and how, as a result, they are hardly sick. Fish was next. 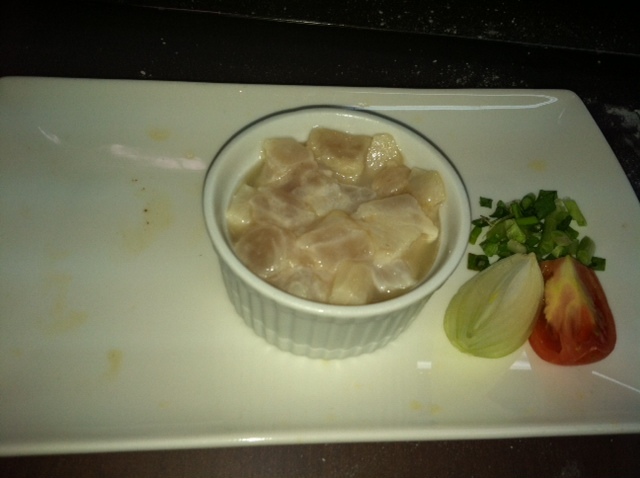 “Kokoda,” a raw fish salad, consists of a white fish called walu marinated in lime juice, with onion, tomato, chili, and coconut cream. Our third dish was a bit sweeter. For dessert, we made “Vudi Vakasoso,” plantains simmered in coconut milk mixed with freshly grated coconut and cane sugar. 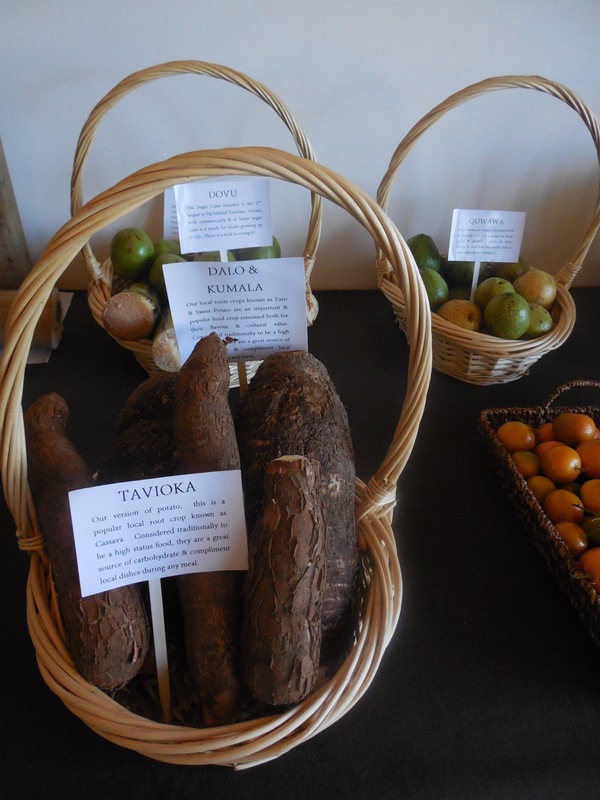 After completing these Fijian favorites, we then set aside our pots to cool and then got ready to prepare our Indian recipes. 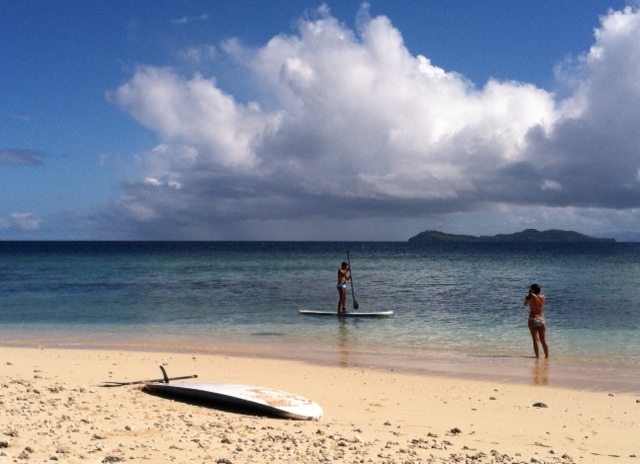 Fiji is a multicultural society that has blended in flavors from other nationalities that have come to live on the islands; particularly Indian. Two of the dishes in this second set were curry based. 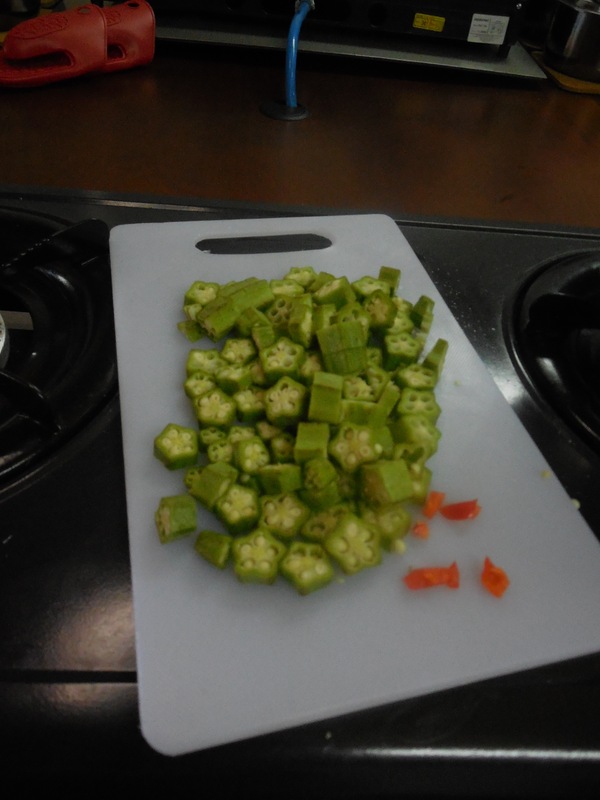 Bhindi Curry, which is okra blended with cumin seeds, mustard seeds, curry powder, onion and garlic, gave off an amazing aroma as the mixture cooked in the pot. A chicken and potato curry called Murghi and Aalu Curry also infuses poultry and potato with a blend of similar spices. To accompany these curries, we concocted a vegetable chutney made by dicing up cucumber, tomato, onion, chili and coriander and added in a drizzle of lemon juice. 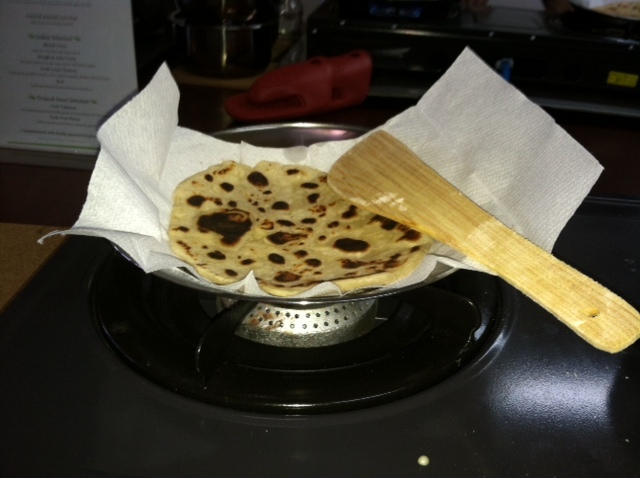 Finally, as bread is served with traditional Indian dishes, we prepared Roti, a flat bread made from wheat flour. We had two dough balls to edge out and then flattened into a circle by first your hands and second with a rolling pan. 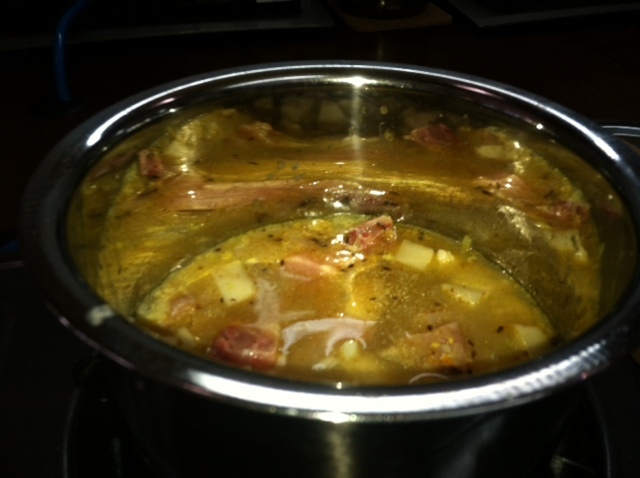 Then each is placed one at a time in a hot skillet. As the dough begins to bubble, oil is brushed on each side and then is cooked and flipped over like a pancake. After our dishes were completed, we enjoyed eating what we made alongside plates with cut-up taro, pineapple and papaya and a freshly made juice. We also “graduated” that day. The school staff presented our group with diplomas naming each of us as a Local Master Cook. 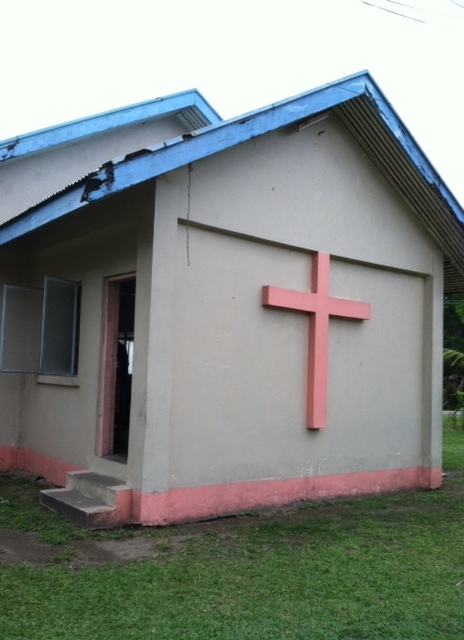 For a tasteful lesson on Fijian culture, schedule time for enrolling in a class at this school! 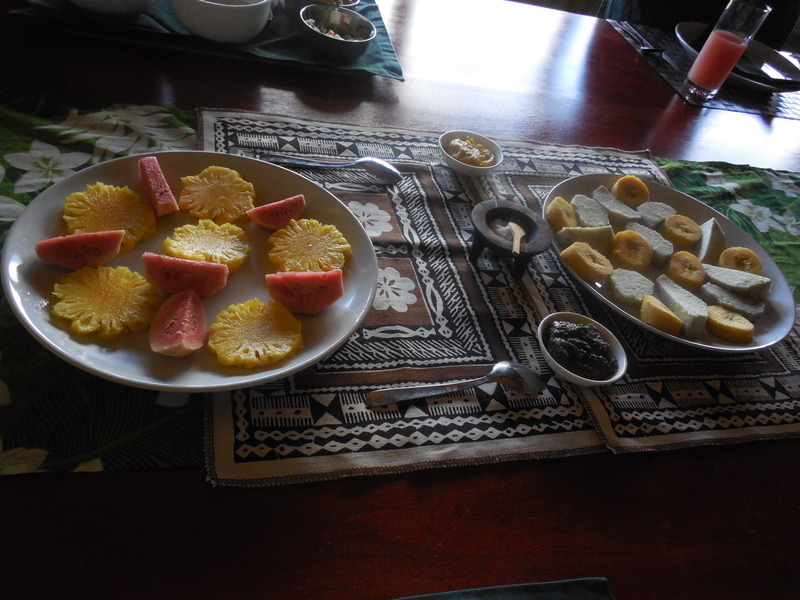 This entry was posted in Culinary, Fiji, Personal Interests, South Pacific and tagged cooking schools in Fiji, cooking schools on Denarau Island, Fijian cuisine, Flavours of Fiji Cooking School, Foods in Fiji, fruits and vegetables in Fiji on July 13, 2013 by She Is Going Places. 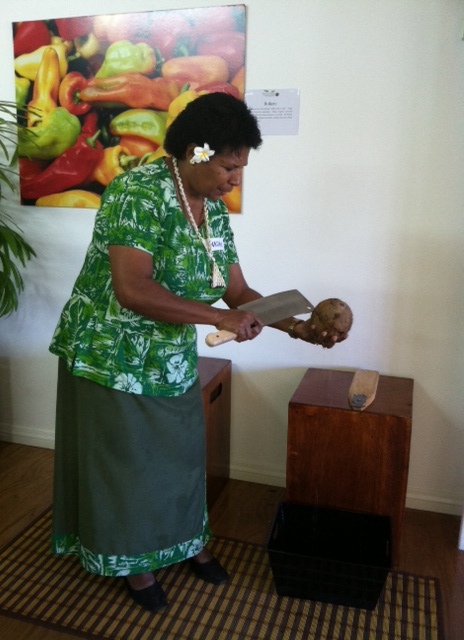 Wednesday afternoon was our first group venture to explore Fijian culture. Heading back to downtown Nadi, we stopped at Nadi Municipal Market, a daily-run (except for Sundays) marketplace where farmers bring in their crops for sale and city folk and villagers come by to buy them. Merchants are friendly and, after asking for approval first, are okay with you taking a picture of them at their spots or stalls. 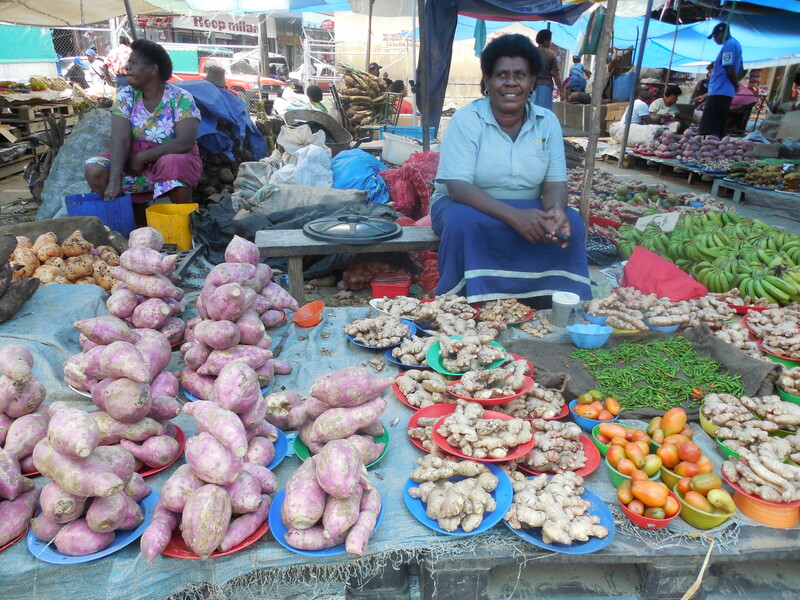 While exploring the market, you get to see and learn a lot about the fruits and vegetables that are staples in the Fijian diet. 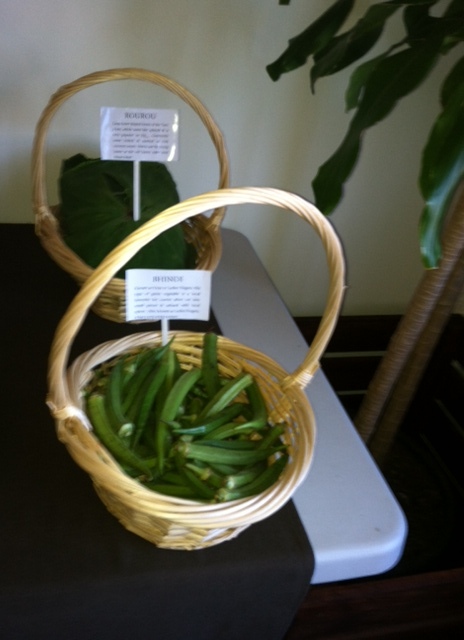 There is also similar produce to what we have at home. 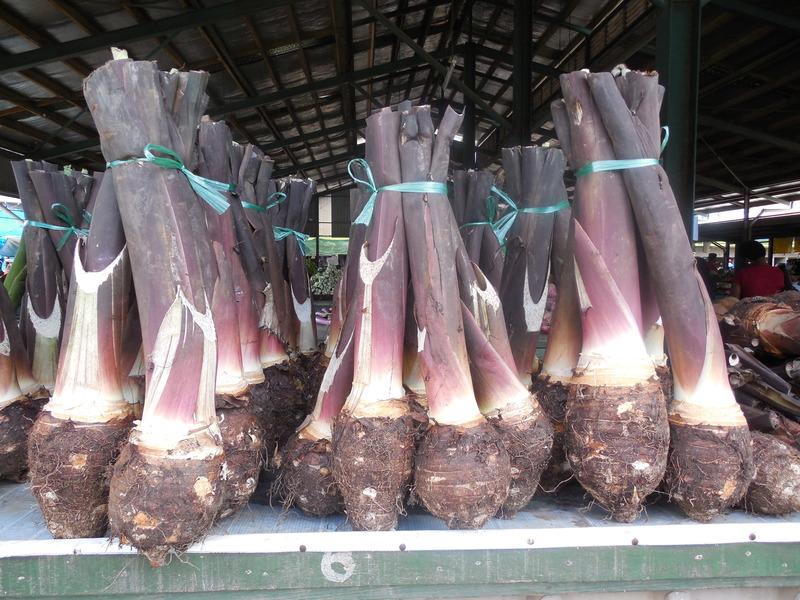 Taro, a stout and starchy root vegetable, tastes close to a potato is found here in stalk bunches. 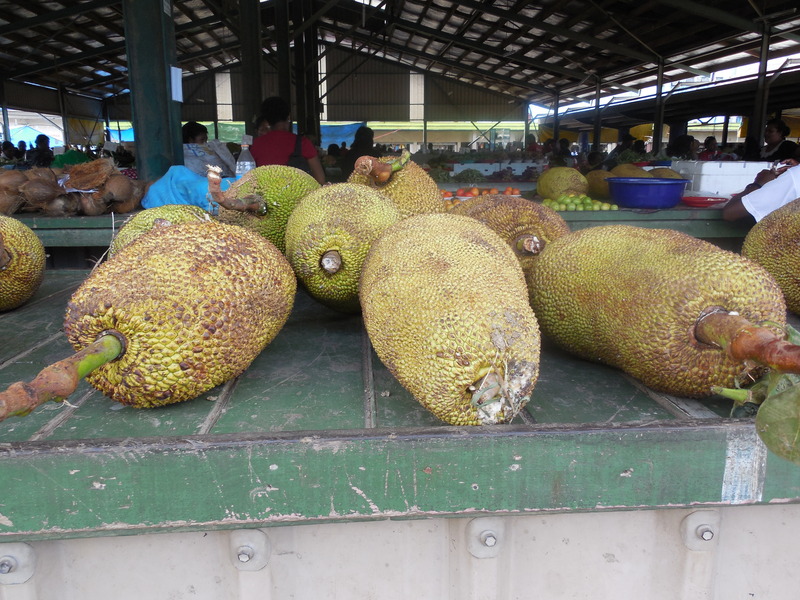 Jackfruit, another common Fijian produce, reminds me of a watermelon due to its green rind and shape. 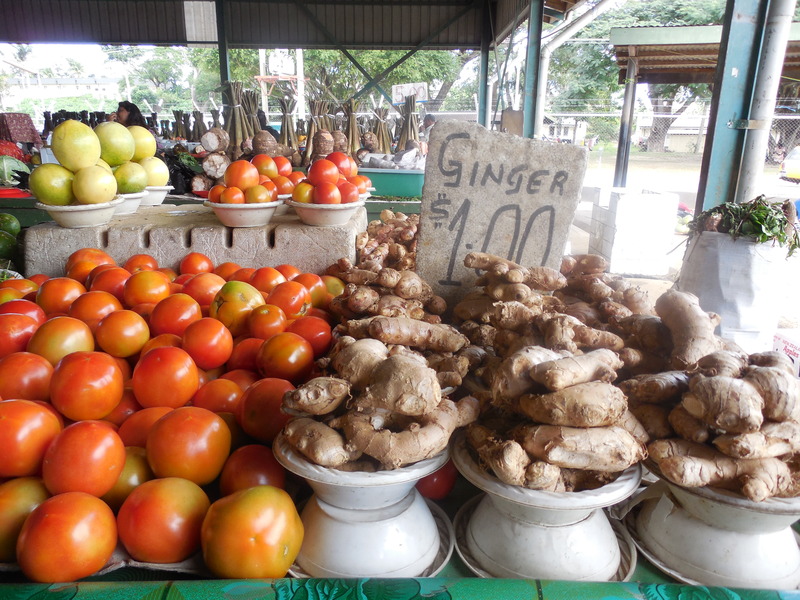 Tomatoes, ginger, chilies, yams, green beans, carrots, plantains and pineapples are also found here. 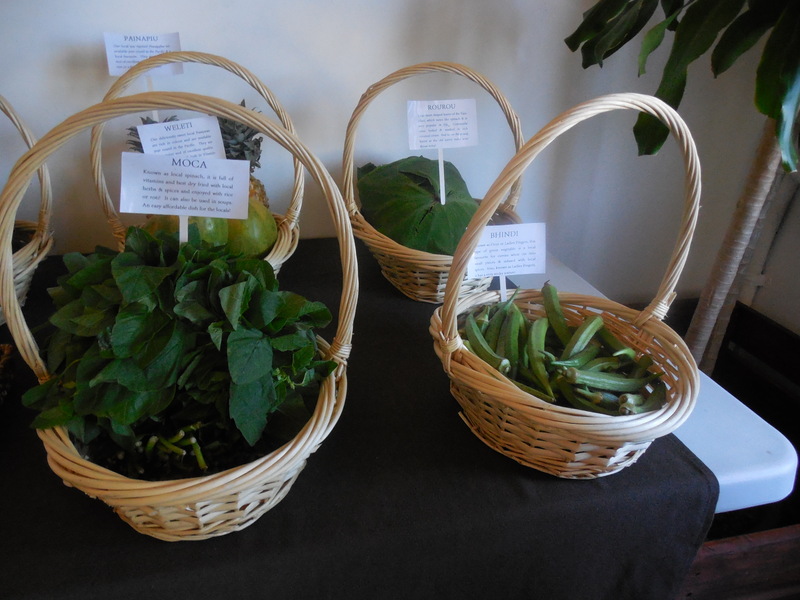 Also, kava, the roots from a peppery plant used in making kava, the liquid drink, can be bought. In addition to fruits and vegetables, spices such as cumin, mustard and fennel seeds, cinnamon, and anise stars, are also sold from booths. There is also a fish market on the premises, selling recent catches (my guide tells me it’s better to get fresh fish straight from fisheries) such as, surprising to me, barracuda. Also with culture, Fiji has an Indian population dating back to when Indian labors were brought to Fiji by the British in the late 1800s (Fiji had been colonized from 1874 until the late 1970s) to work on sugarcane plantations. 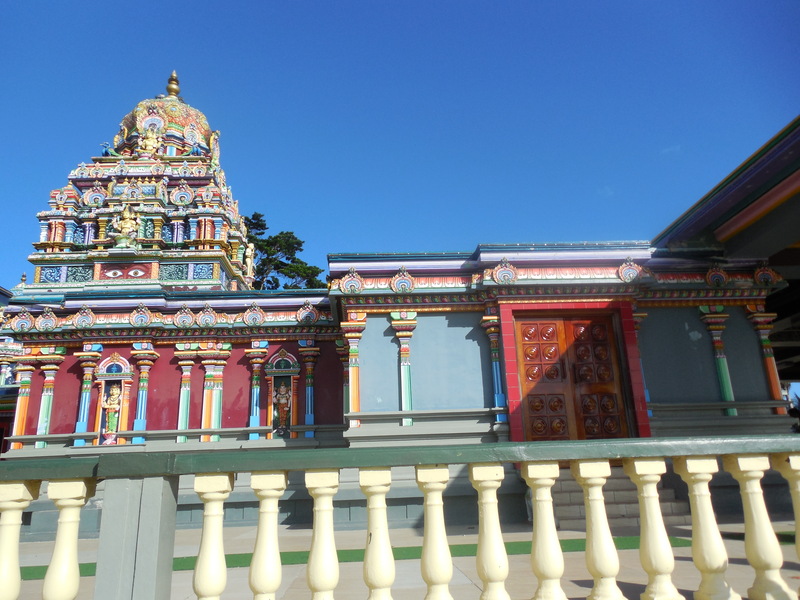 Our next stop was at the Sri Siva Subrahmaniya Swami Temple, a colorful house of worship erected in 1994 by skilled workers flown in from India. 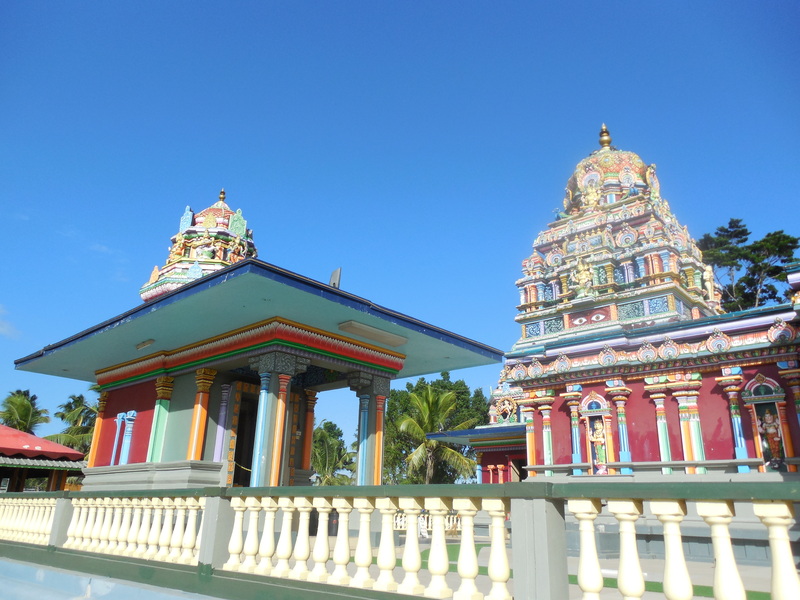 This South Indian-style temple is built in dedication to Muruga, a mythical general, and is graced with an array of basic colors with intricate patterns. Visitors can explore the temple and its grounds for a small admission price but they are required to remove their shoes before entering. You also have to cover your bare shoulders and legs with a sulu (a wrap skirt). 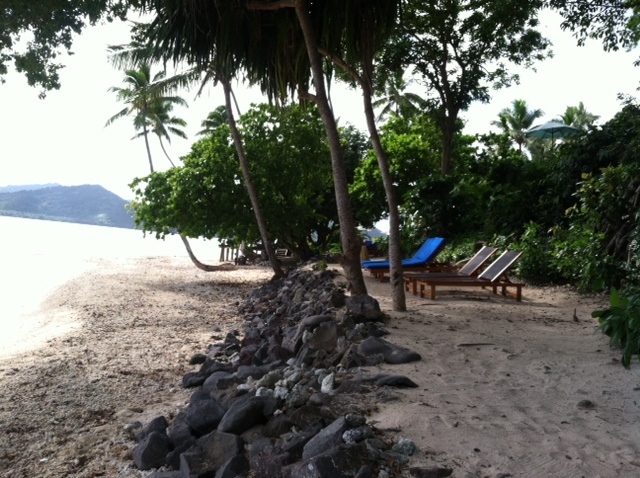 Most people might remember the late actor Raymond Burr for his role as Perry Mason, but he has ties to Fiji, living here. 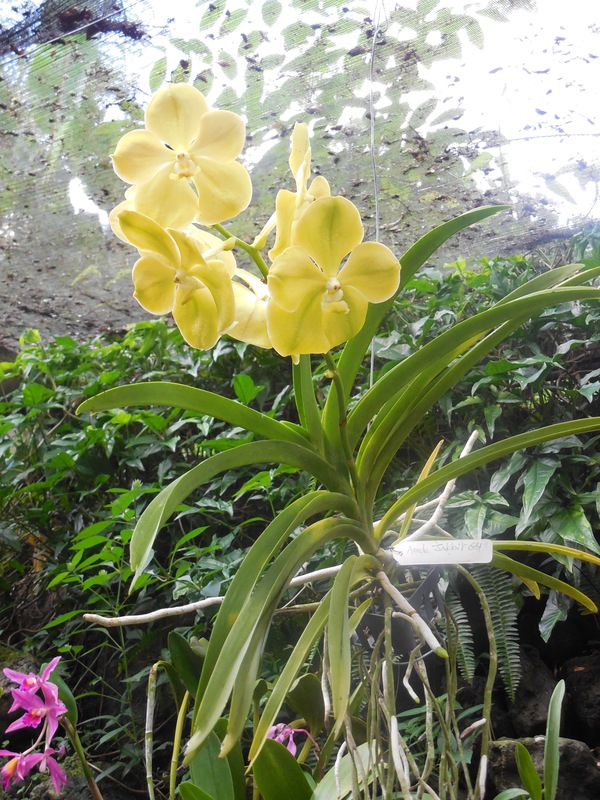 In 1977, Burr established a garden to house orchids that is now known today as “Garden of the Sleeping Giant,” because of it being in a mountain region called the same name. 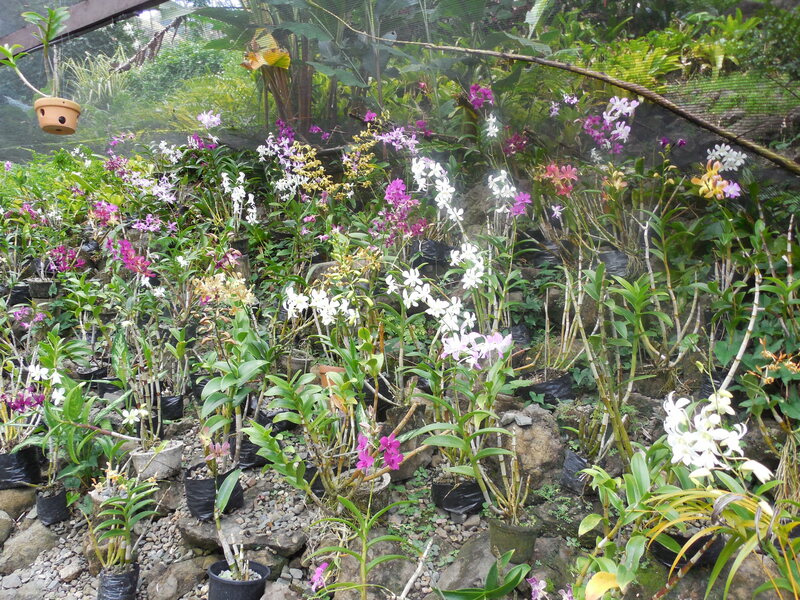 Located four miles north of Nadi Airport, this garden is said to hold Fiji’s largest orchid collection. 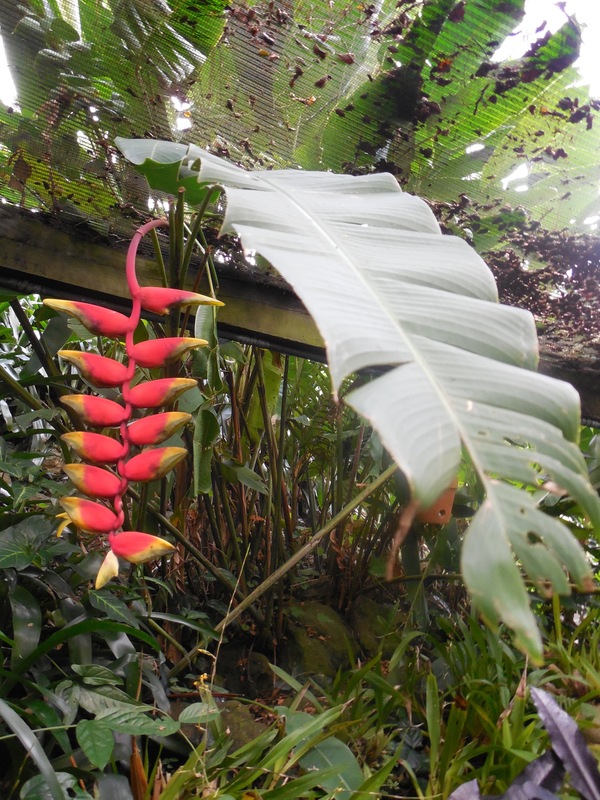 Walking through this garden, you’ll catch various species with different shapes, sizes and colors (there is one that looks like toucans), along with other unique and lovely tropical plants. The garden doesn’t stop at orchids. 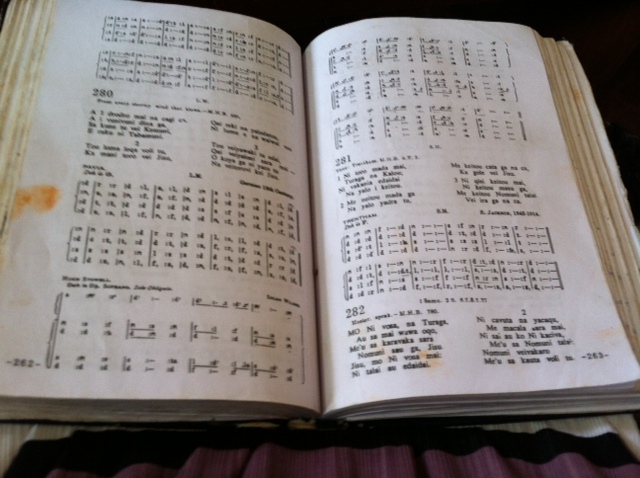 In fact, you can follow along a path that leads you to a shady region that is like stepping into a Garden of Eden. 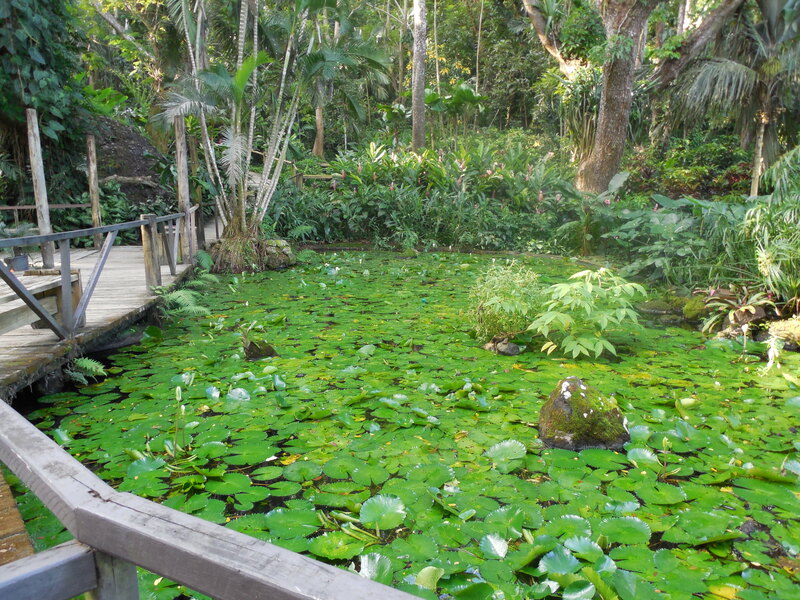 A guide accompanies you along this walk, pointing out and giving descriptions on various plants, and the path winds along near a leaf pond and ends near a rustic fixture used for ceremonies. You also get a closer look at the mountains. 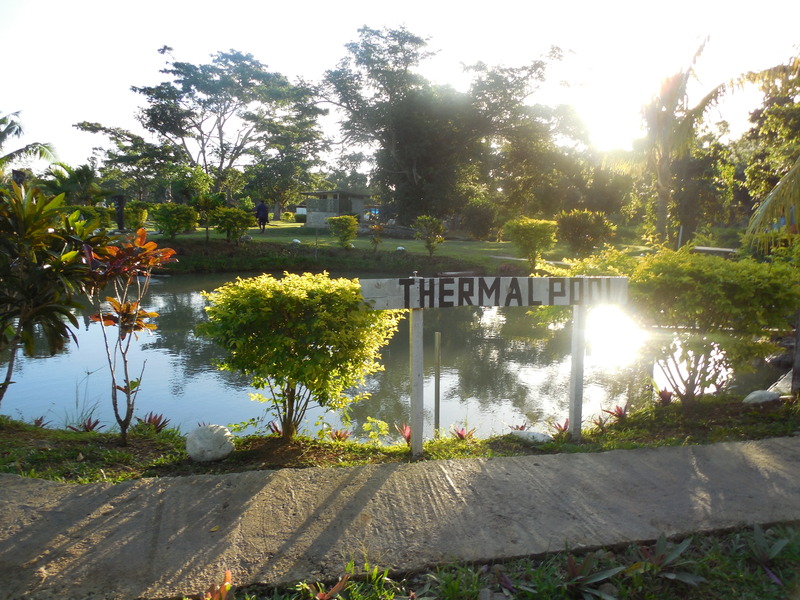 We ended our outing at the Sabeto Mud Pool and Hot Spring, located halfway between Nadi and Lautoka. 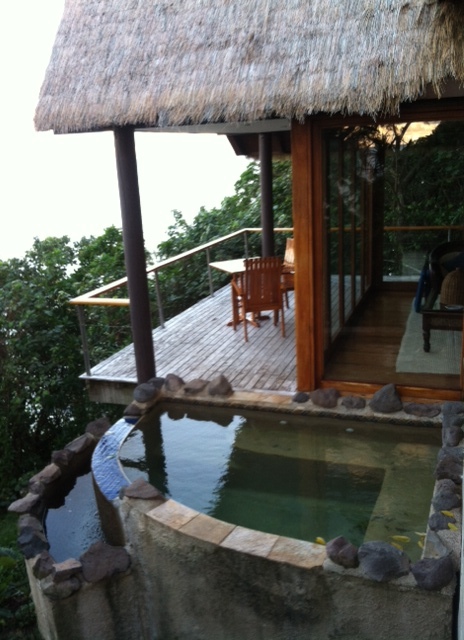 Here we had two options: having a mud bath, by being coated in mud (with minerals good for the skin) and then rising off in a hot spring, a Fijian massage and then also a rinse, or doing both. 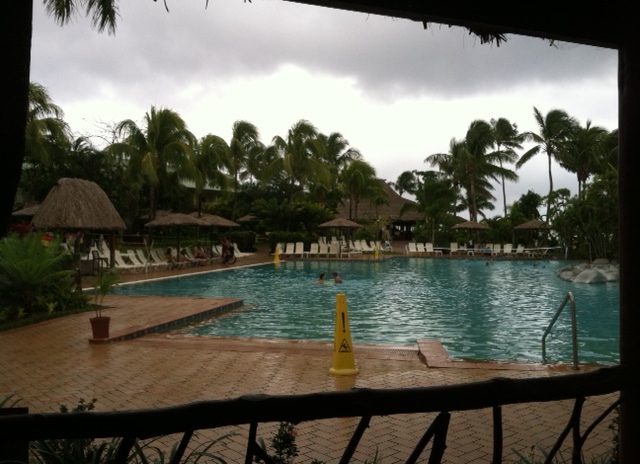 After you complete your choice, you take a tip in a hot spring to rinse off. I decided on getting a massage. 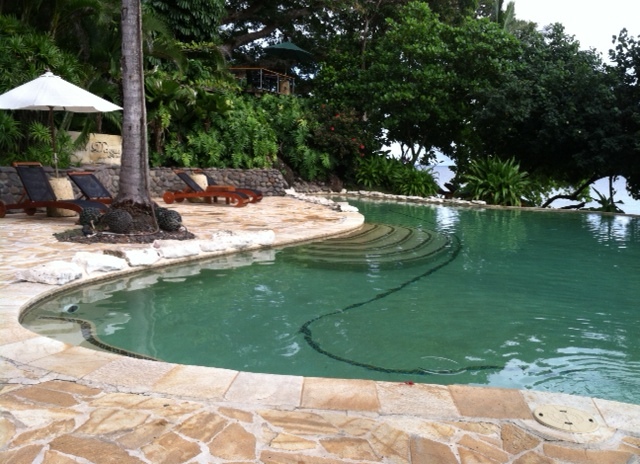 Our group will soon get going to the Pacific Coast, to get to our next place of stay by motorboat! 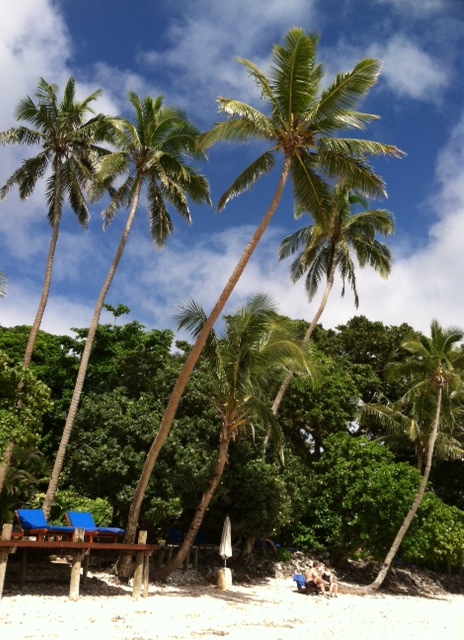 But first, we will be staying on Denerau Island most of the day to learn more about Fijian cuisine, by cooking it. 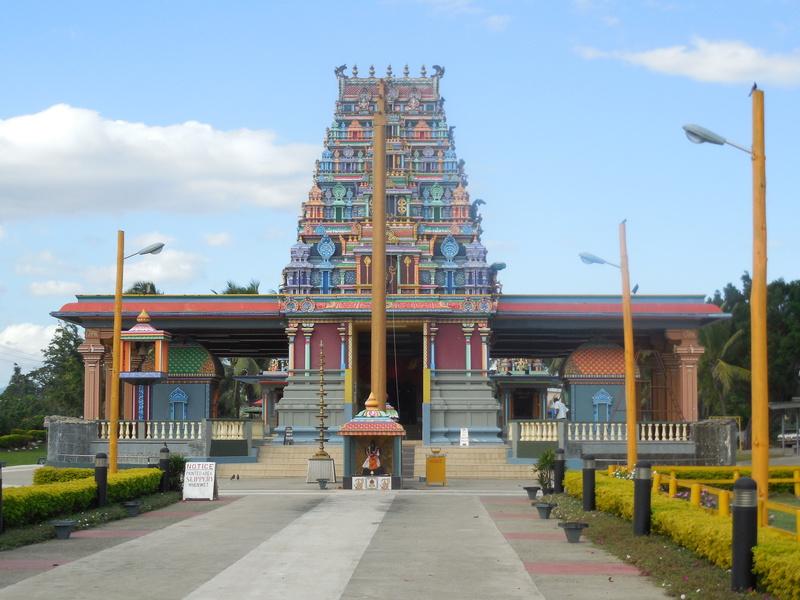 This entry was posted in Attractions, Fiji, South Pacific and tagged Raymond Burr, Sri Siva Subrahmaniya Swami Temple on July 12, 2013 by She Is Going Places. 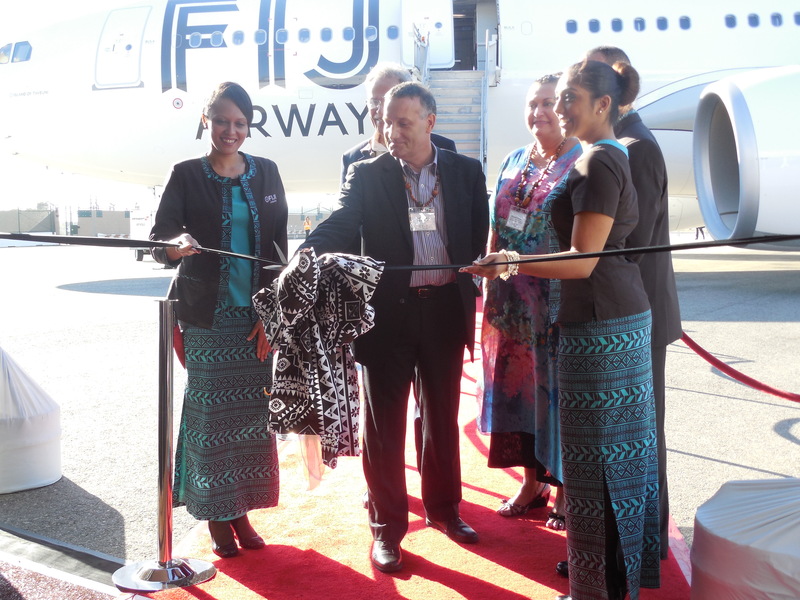 Leaving Los Angeles abroad Fiji Airways’ new A330-200 airbus late Monday night, my group and I touched down at Nadi International Airport Wednesday morning around 5:30 a.m. Fijian time. I was in economy class with about four others in my group and I was a bit nervous about how I would handle a (my first) 10-hour flight. And would I get enough sleep? I did get to rest successfully, and enjoyed the inflight entertainment. The A330 sports Panasonic’s state-of-the-art eX2 entertainment system provides on demand video and audio. My list of choices ranged from recently-release movies and episodes from American and UK television programs, to video games and album playlists. It was also great to be able to keep my iPhone charged thanks to a USB outlet next to the center’s flat screen. Also, if needed, there was a power outlet around my seat. 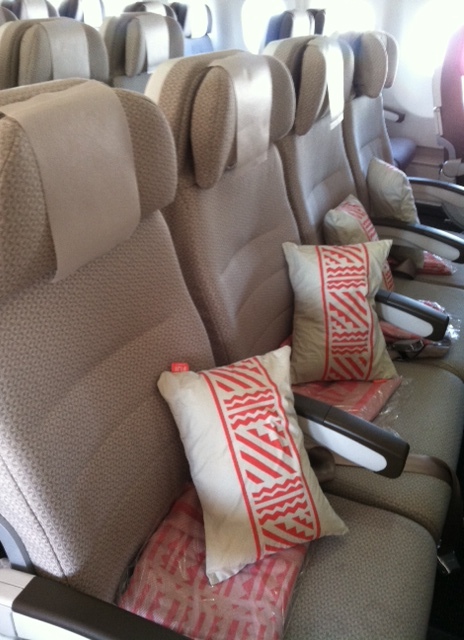 Although it can be tough to sleep comfortably in economy class during overnight flights, the A330’s seat design helps. Its economy seats have more of an extended angle for reclining and the width of the armrest has been reduced to give back a little extra personal space. 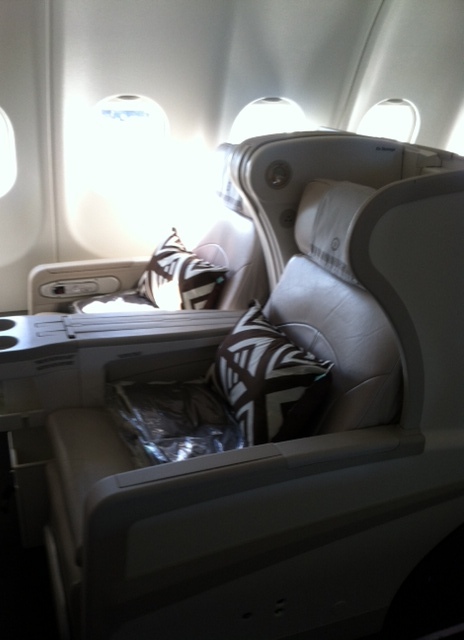 I discovered my seat had a pullout headrest which helped make my sleeping position more comfortable. Being greeted and escorted by Fiji Tourism, we spent our first evening on Denarau Island, which is about a 20-minute ride from Nadi International Airport. 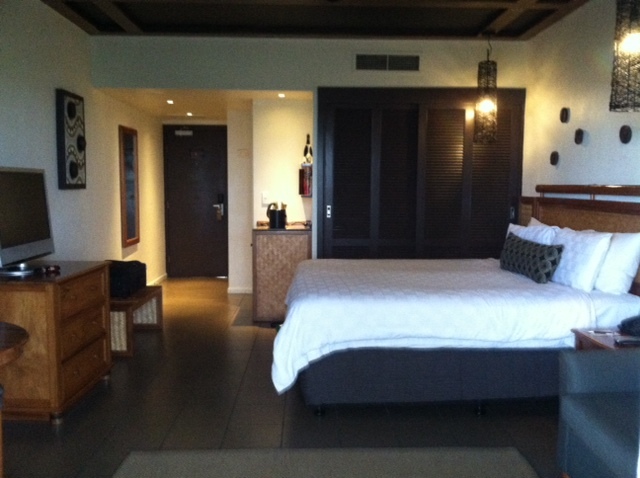 Each half of our group stayed at one of two properties at Starwood Hotels and Resorts’ five-star integrated resort complex: the Sheraton Fiji Resort and Westin Denarau Island Resort & Spa. 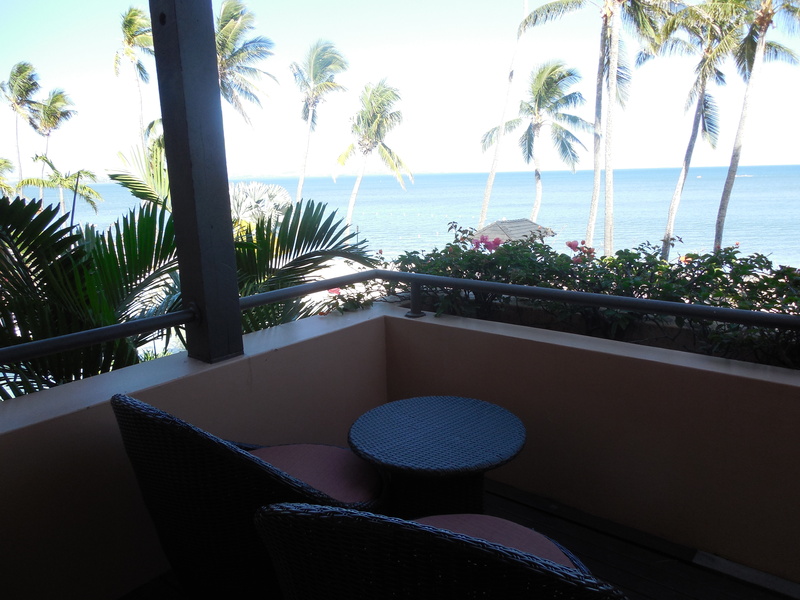 My second-level ocean view room at the five-star Sheraton Fiji Resort had a great outdoor patio for just sitting out on the deck and gazing at the water. 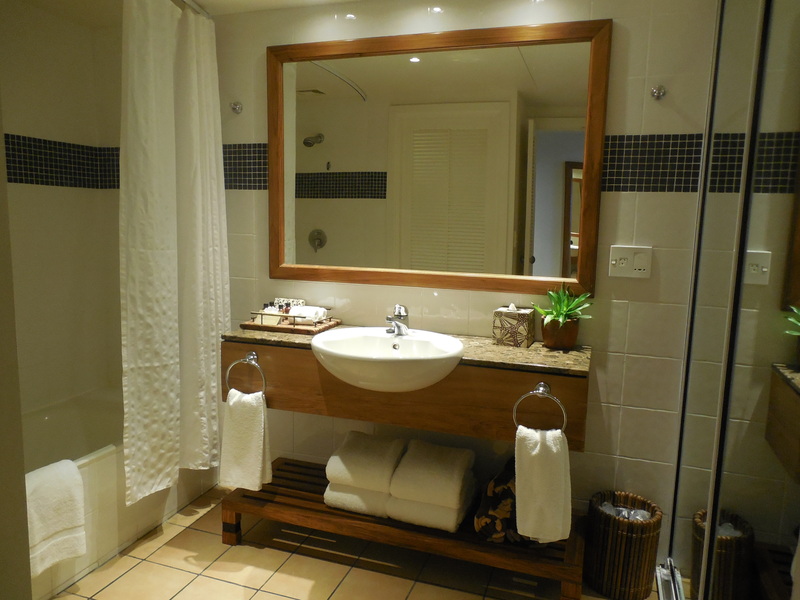 The bathroom was well sized with a walk-in shower and dual vanities. It was also nice to be staying directly near the beach area and I just literally had to walk around the corner to get there. 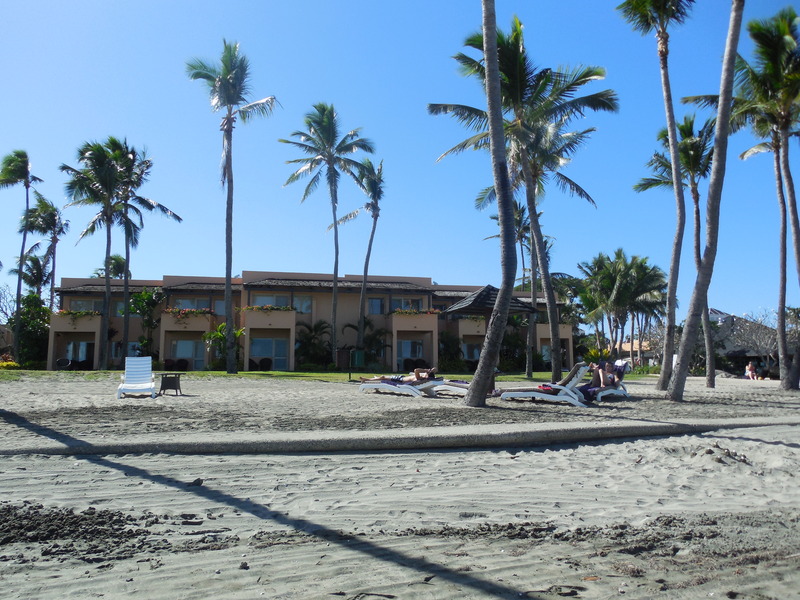 In addition to having 264 guest rooms with views of either the ocean or tropic gardens, this Sheraton property fits both vacationers and families, particularly with activities suited for young guests. For families, there are designated children’s play areas, a family-friendly lagoon and a “Lai Lai Kids Club” for youngsters. With rooms, there are ones that interconnect so parents and children can go from one to the other. Dining selections range in taste and choice from Feast, a specialty breakfast and dinner buffet restaurant overlooking a swimming pool, to Flying Fish Restaurant, with an international menu offering a wide selection of seafood dishes and a nice waterside view. The Pantry provides “grab and go” options, Chime serves up tropical cocktails in its lounge setting, and Ports O’ Call specializes in fine dining. 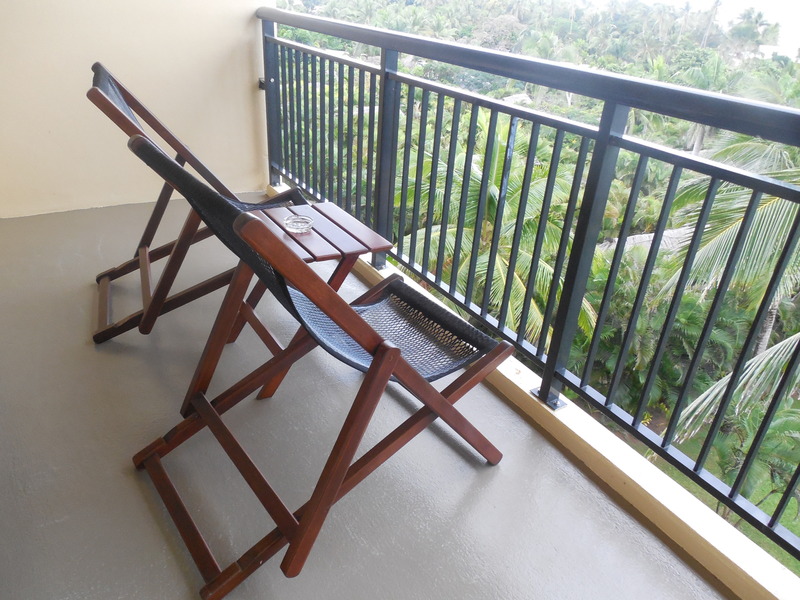 About a five-minute walk from the Sheraton Fiji Resort, the 271-guest room Westin Denarau Island Resort & Spa offers similar options for indoor and outdoor activities with children’s playgrounds, a spa jacuzzi, a fitness center and swimming/lap pools. Its signature Heavenly Spa by Westin is set in 1350 m2 of meditation gardens, complete with 10 open-air therapy rooms and two suites to replicate a traditional Fijian bure (a home). 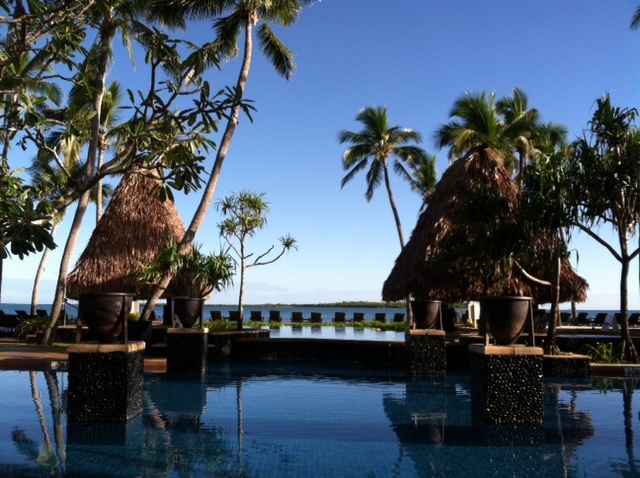 For your morning meal, Ocean Terrace centers on Continental and American breakfast with a lookout view of Nadi Bay. At night, Ocean Terrace becomes the setting for Zing, which offers Asian-inspired cuisine. 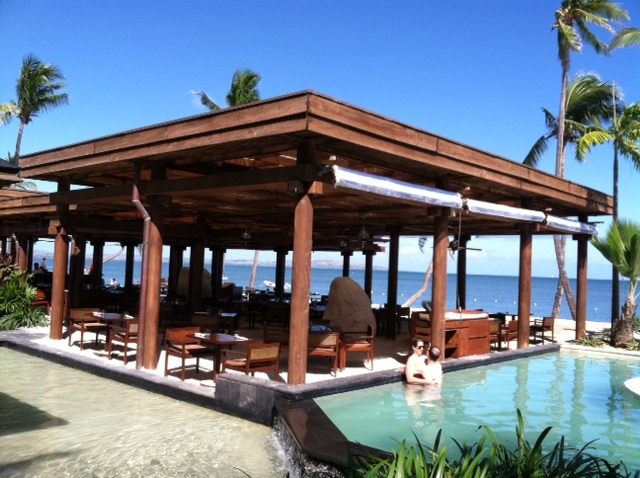 STEAKHOUSE by Peter Kuruvita has a beach and poolside location, with a wine bar. In addition to a specialty steak menu, other choices include fresh seafood, pork, duck, and vegetarian dishes. 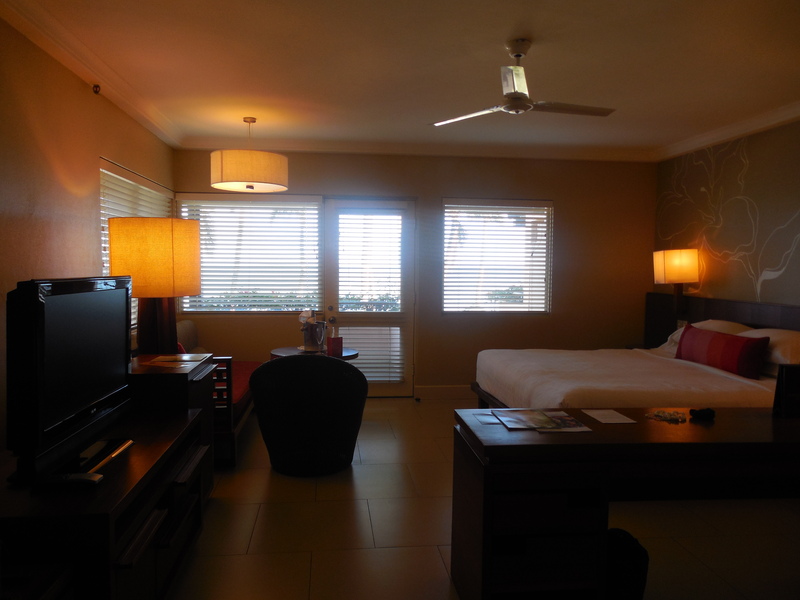 Also found on the Starwood property, the Sheraton Denarau Villas consist of two bedroom villas and three bedroom seafront villas. 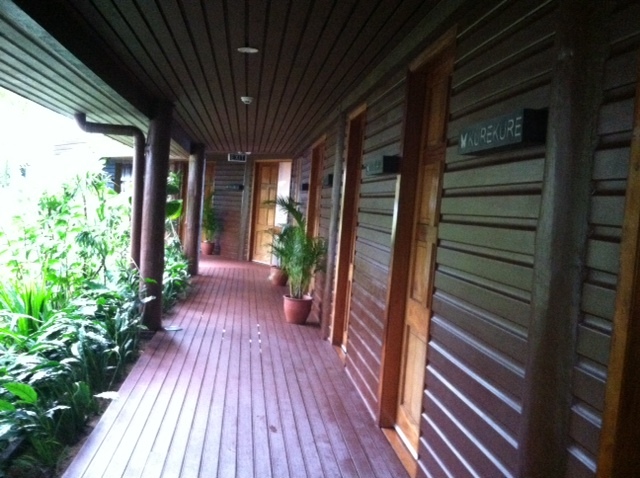 Guests at all three locations can use the facilities at their neighboring accomodations. And for those who play golf or tennis, the Denarau Golf & Racquet Club features an 18-hole course designed by Eiichi Motohasi, six natural lawn and four floodlight all weather tennis courses, and a clubhouse with pro-shop, bar, and locker rooms. 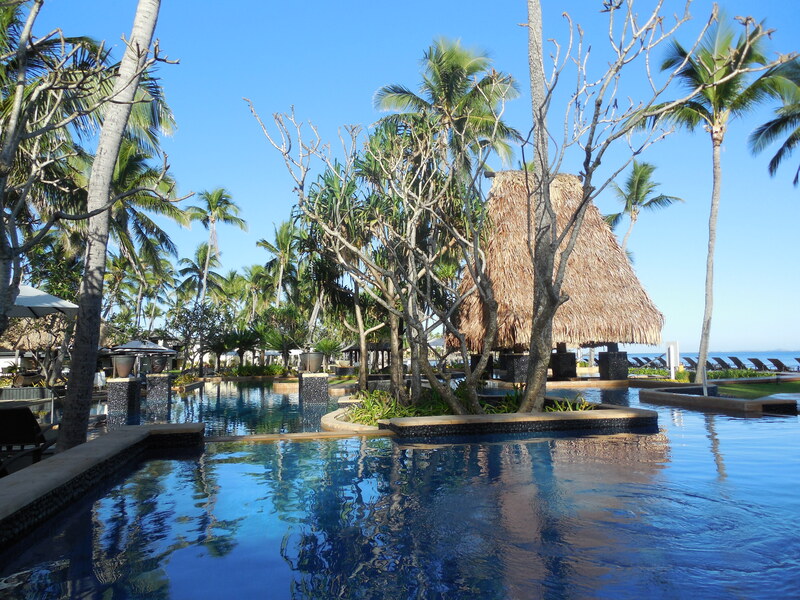 As Denarau Island is graced with a number of resort options, I found the Starwood Hotel & Resorts Fiji properties as a good option for a first-time visit to Fiji! 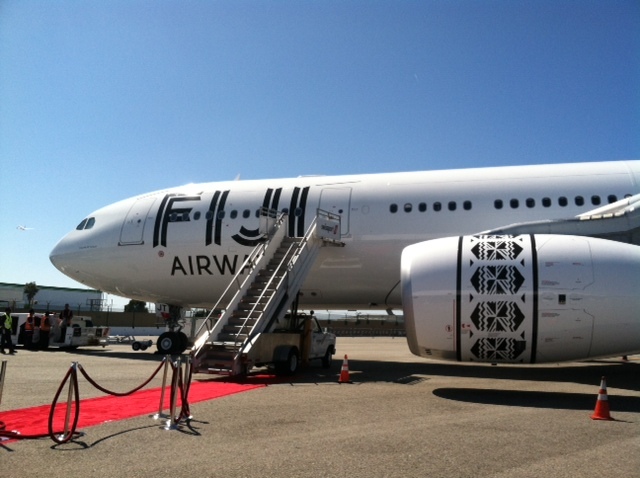 This entry was posted in Air Travel, Fiji, Fiji Airways, Resorts, Sheraton Fiji Resort, South Pacific, Starwood Hotels and Resorts, Westin Denarau Island Resort & Spa and tagged Denarau Island, Fij, Fiji Airways, resorts in Denarau Island, resorts in Fiji, Sheraton Fiji Resort, Starwood Hotels & Resorts, Westin Denarau Island Resort & Spa on July 11, 2013 by She Is Going Places.